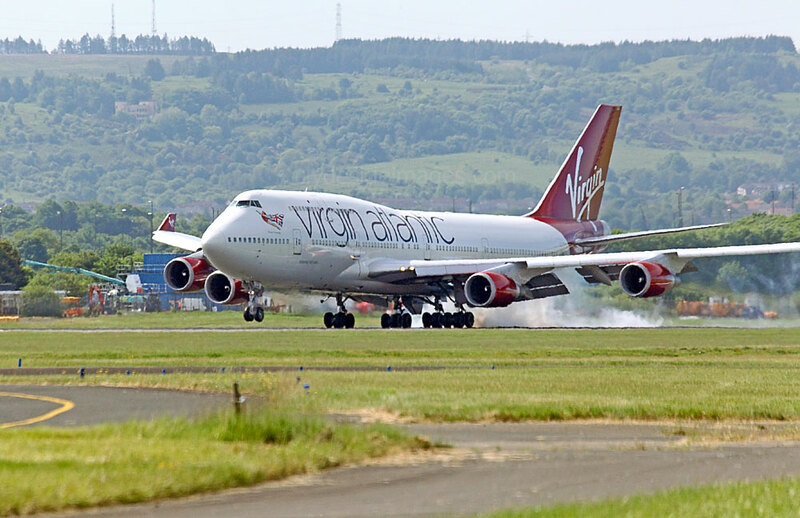 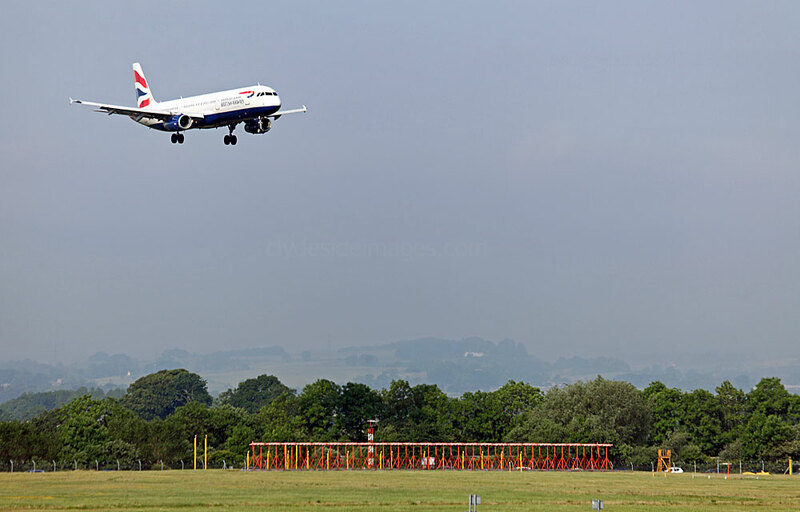 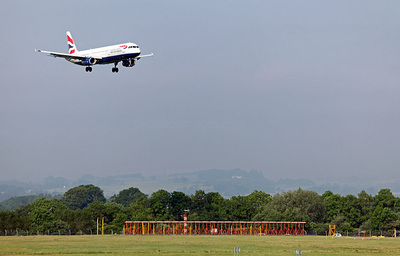 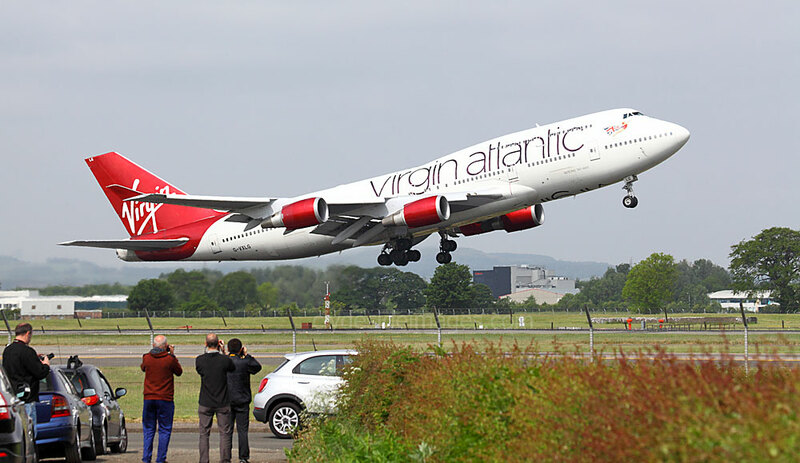 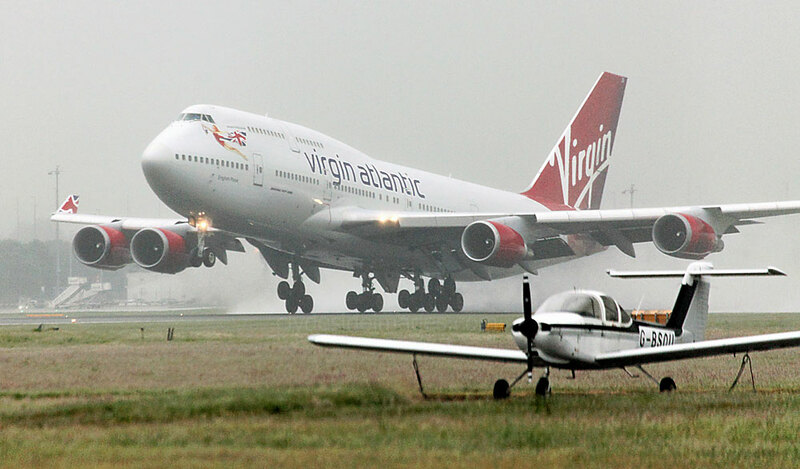 Boeing 747-41R G-VXLG of Virgin Atlantic Airways departs Runway 05, Saturday 4 June. 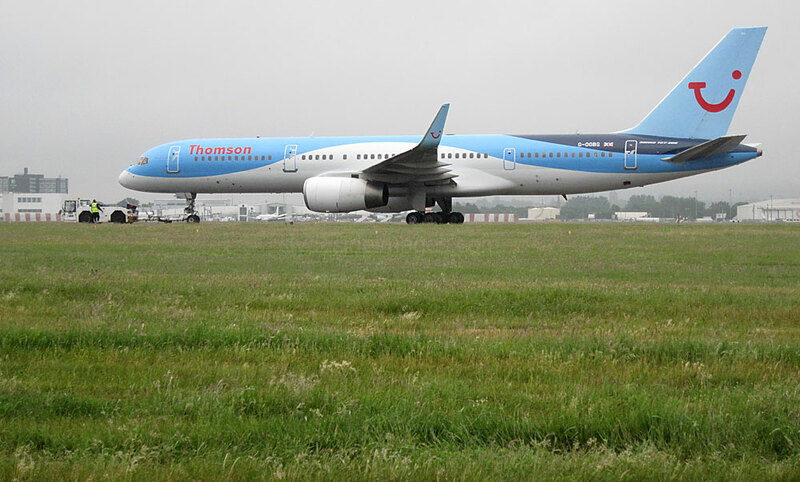 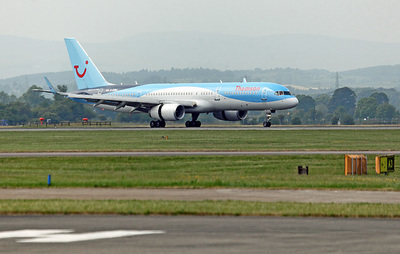 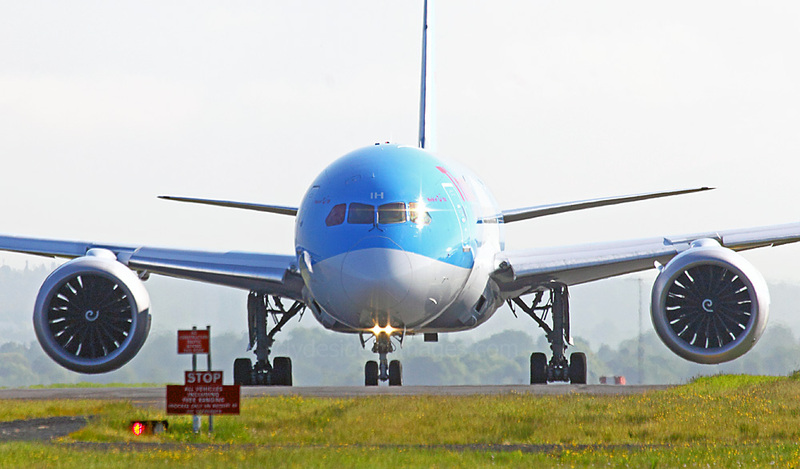 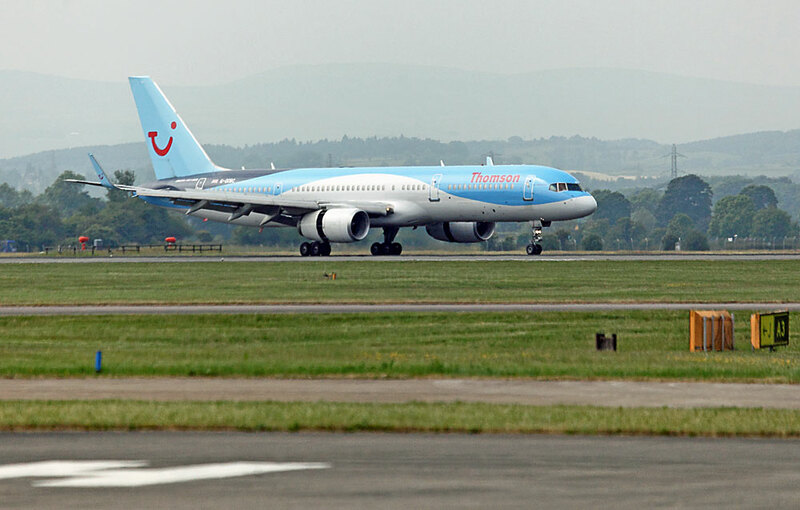 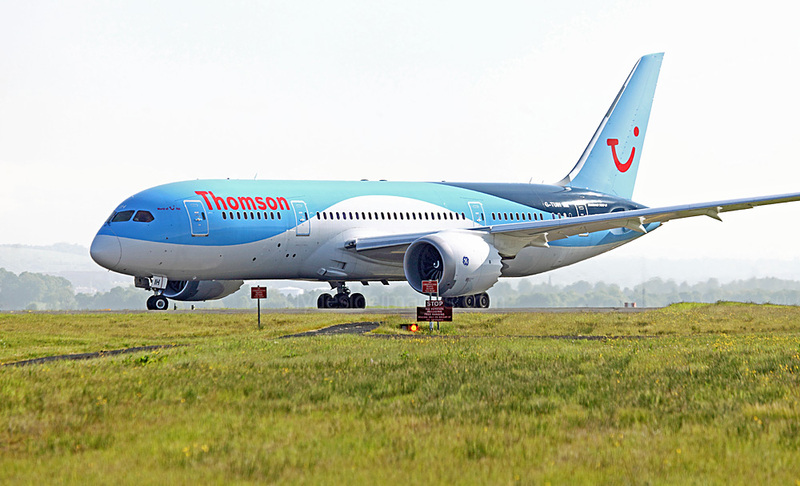 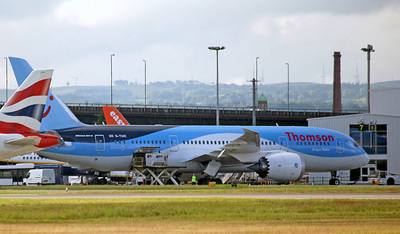 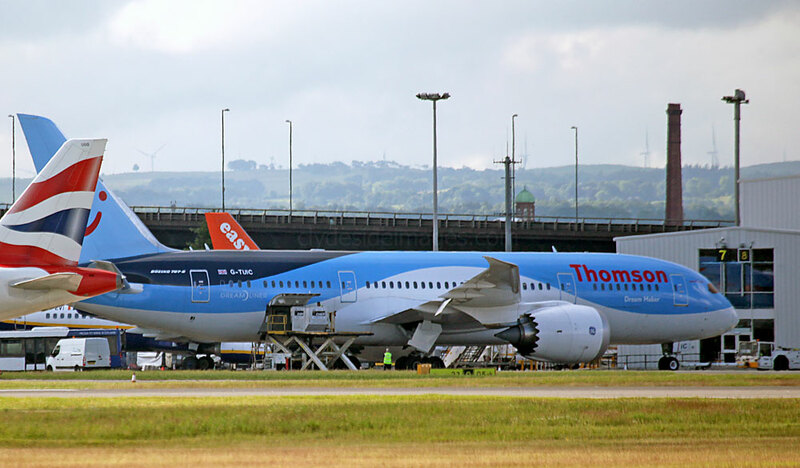 Thomson Airways Boeing 787-8 Dreamliner G-TUIH lining up for a Runway 05 departure on Thursday 2 June. 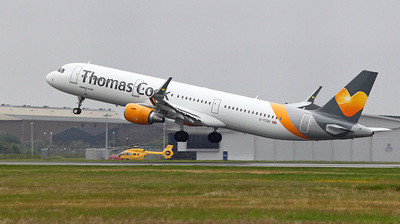 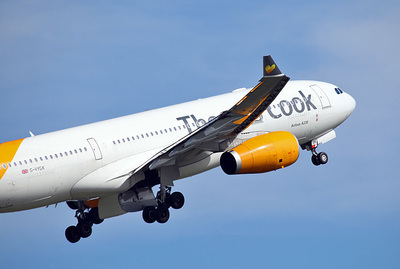 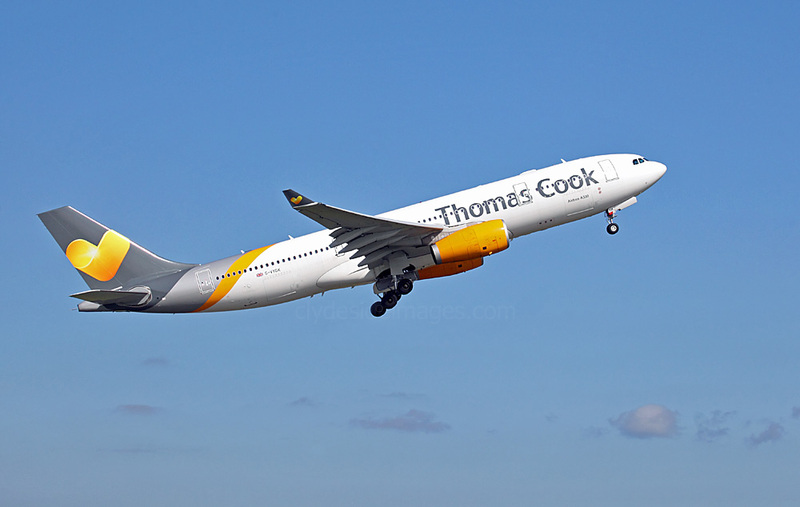 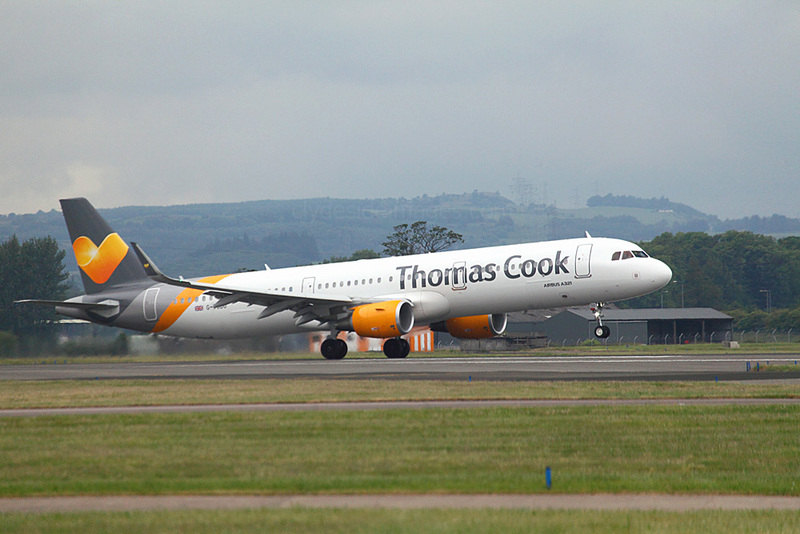 Thomas Cook Airlines A330-243 G-VYGK. 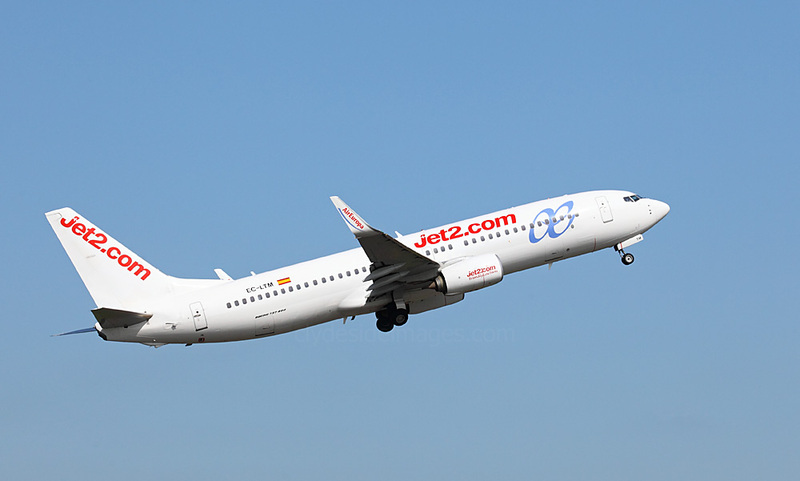 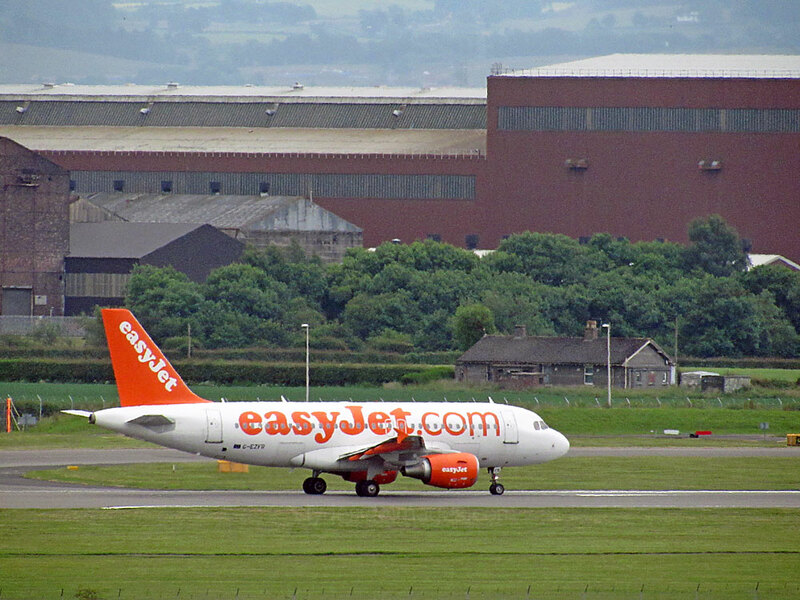 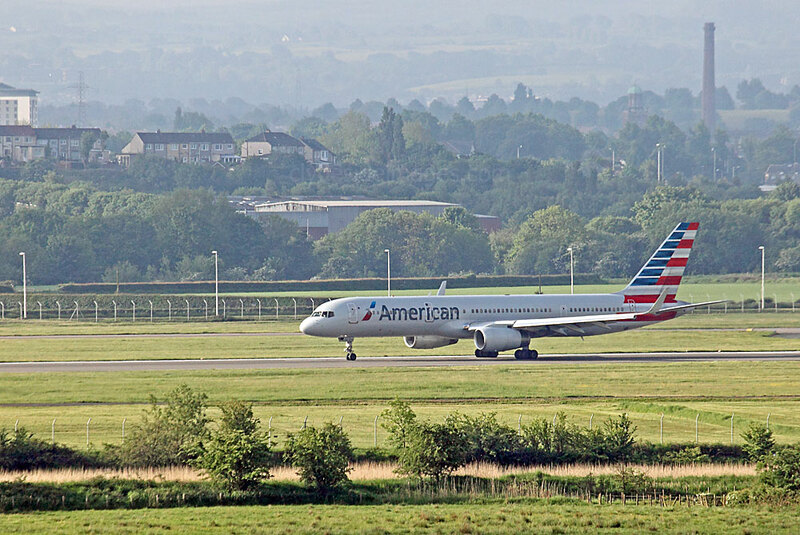 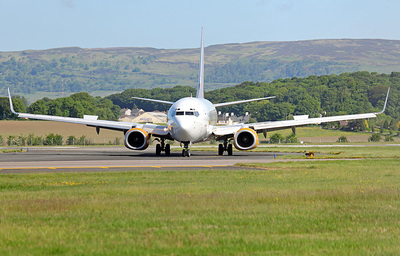 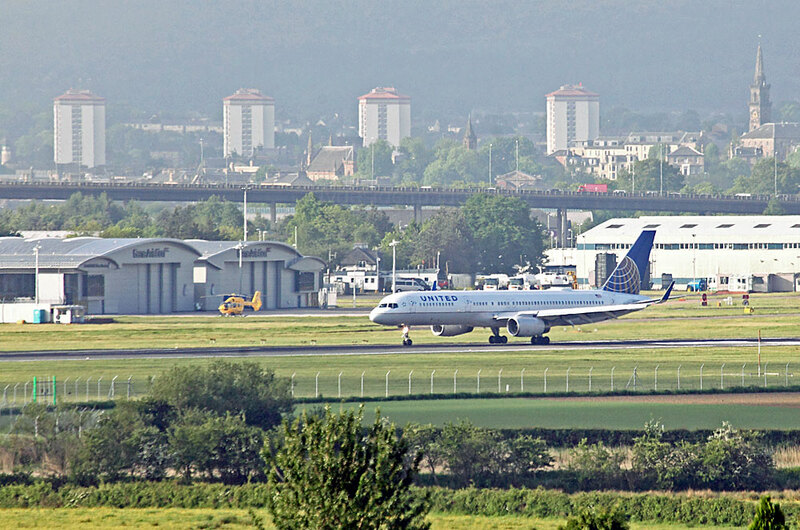 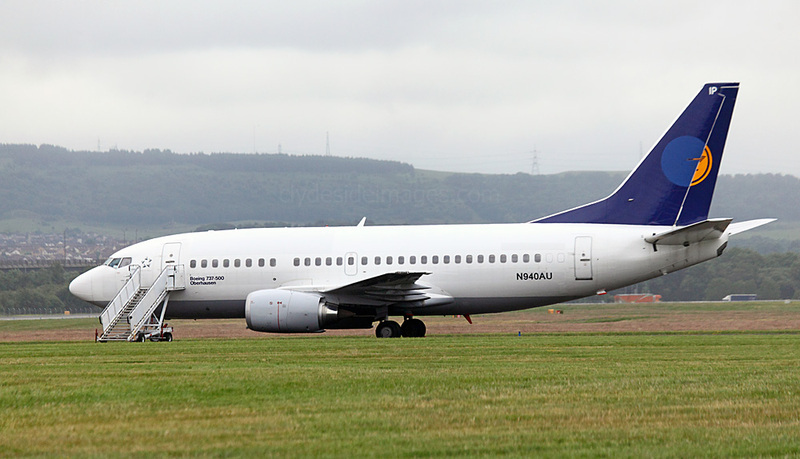 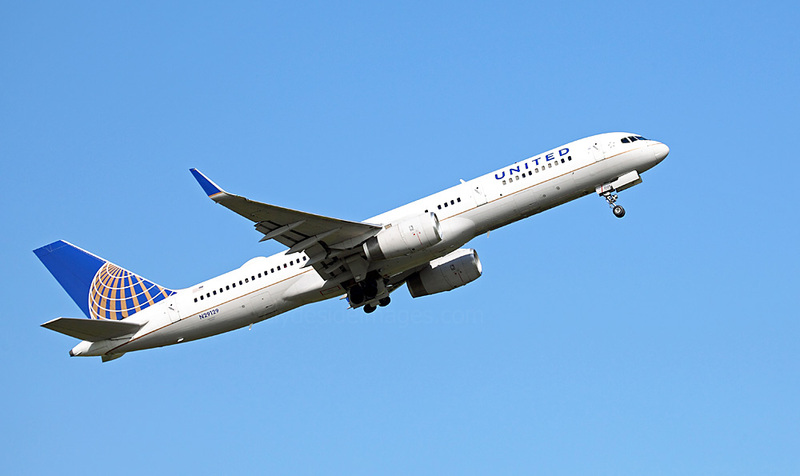 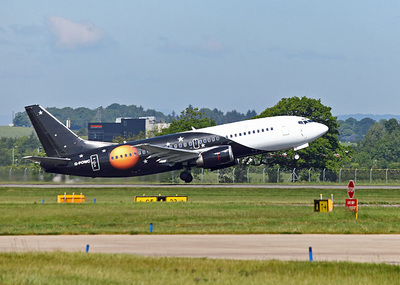 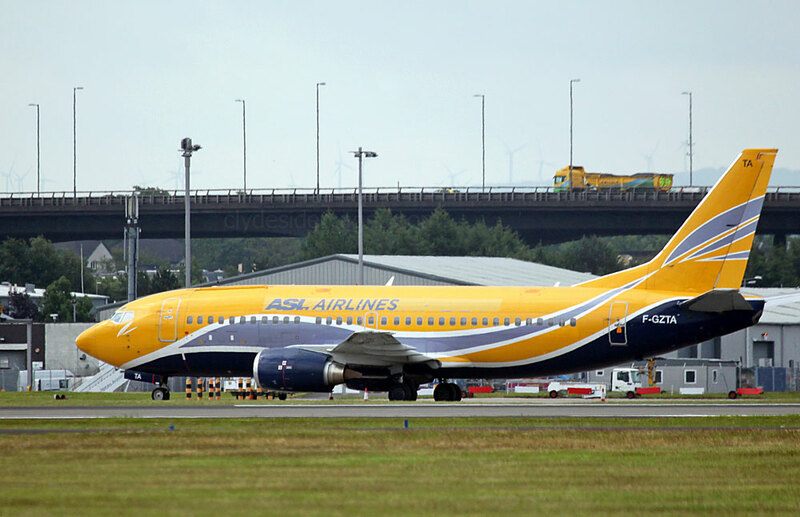 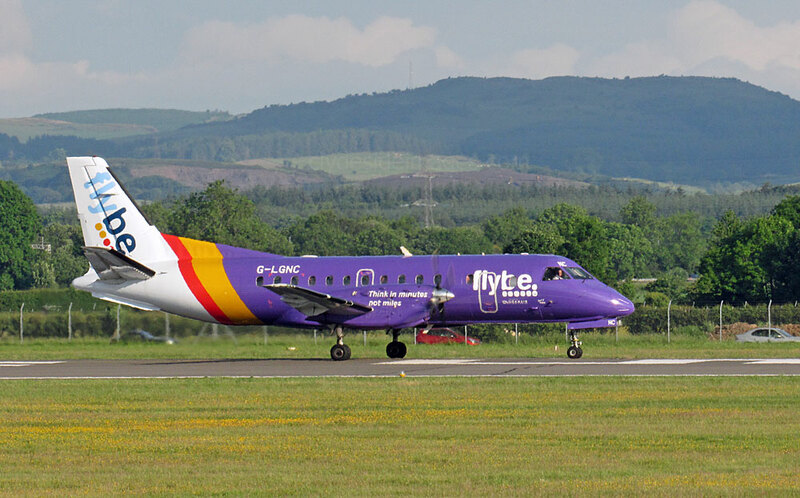 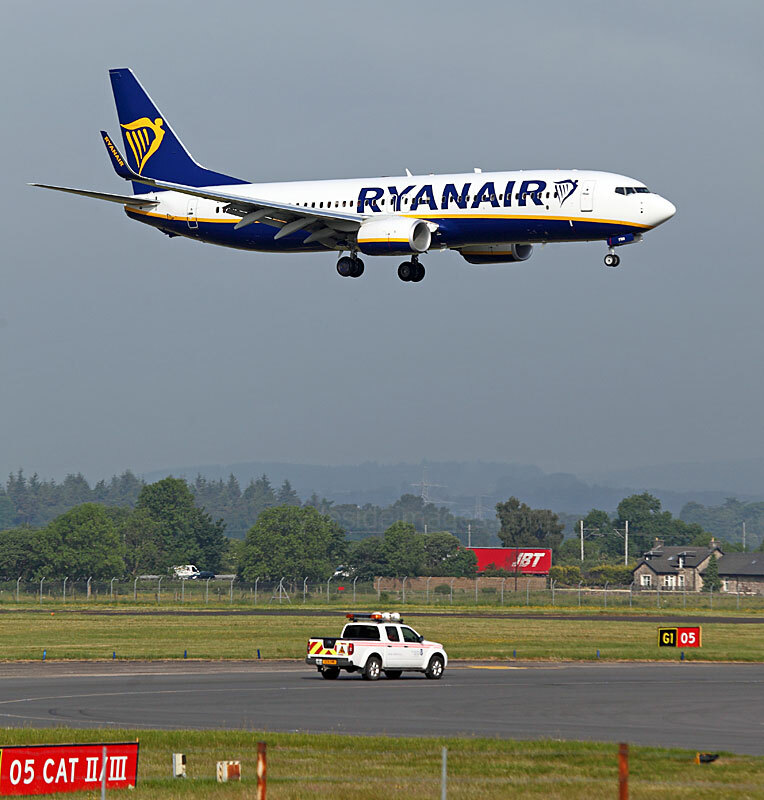 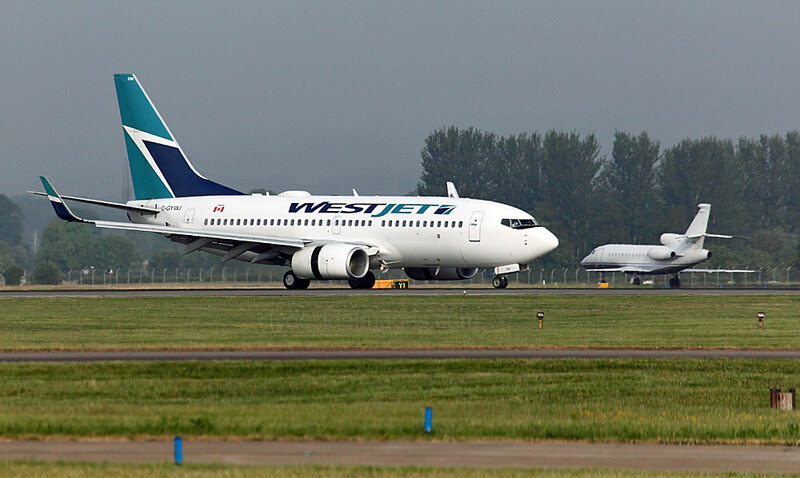 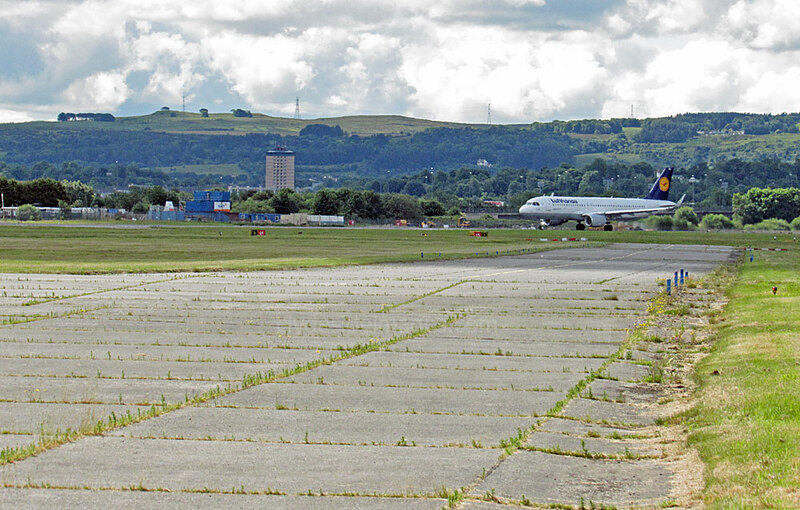 Snapped on Wednesday 15 June, ​N940AU (above) is the second ex-Lufthansa Boeing 737-530 to call in at Glasgow recently with N943AU having night-stopped 1/2 May. 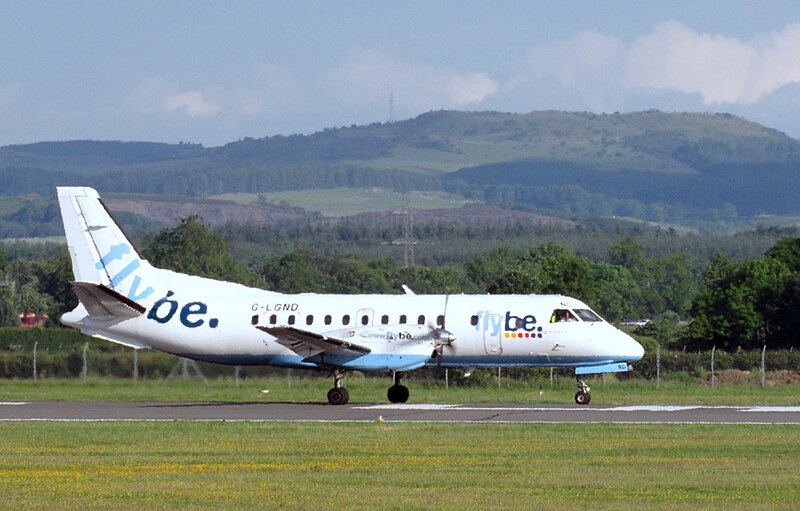 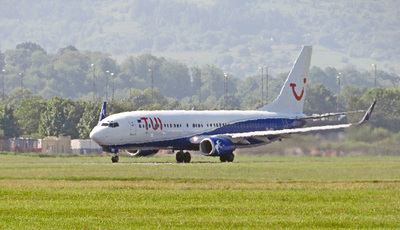 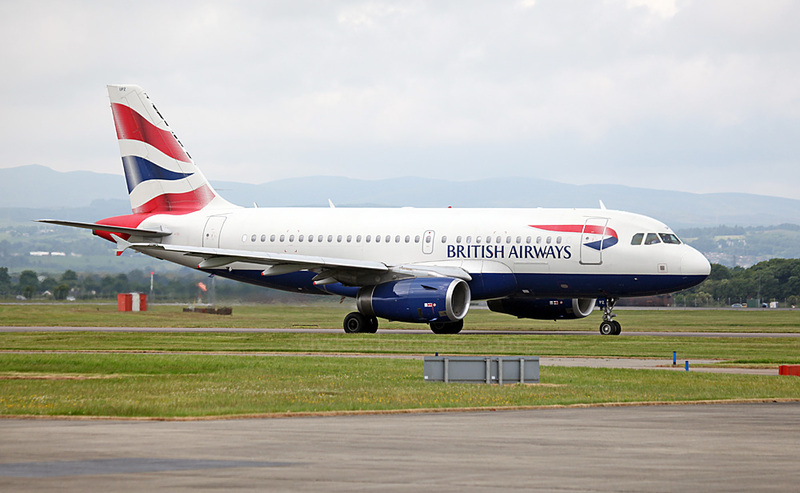 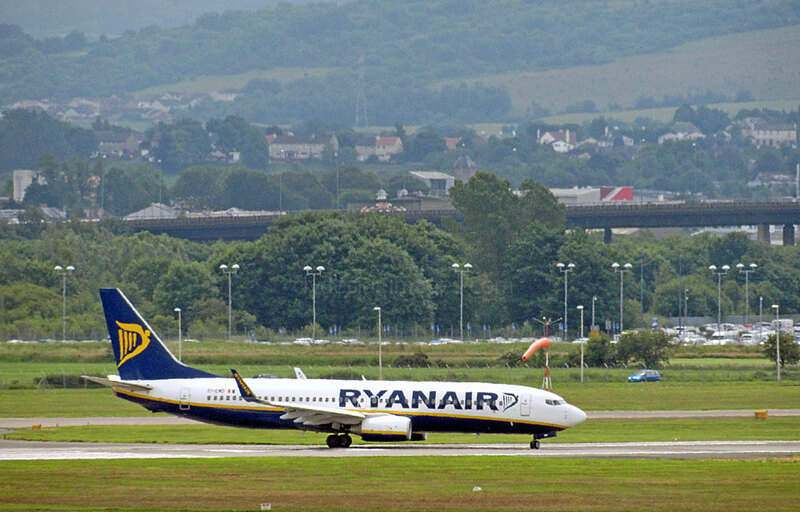 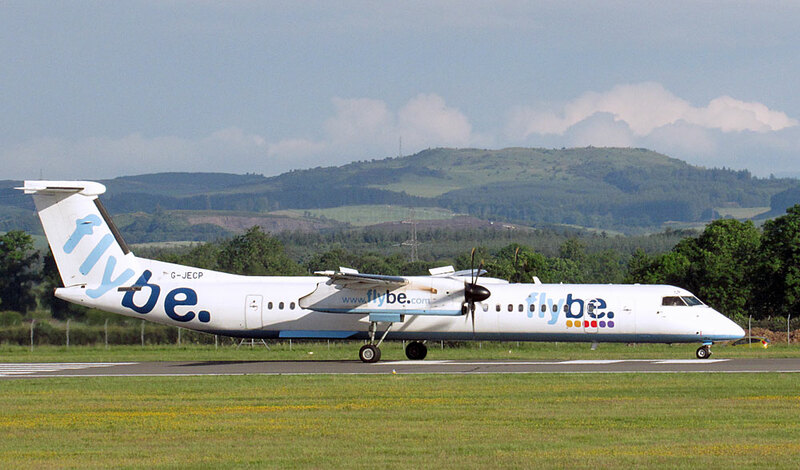 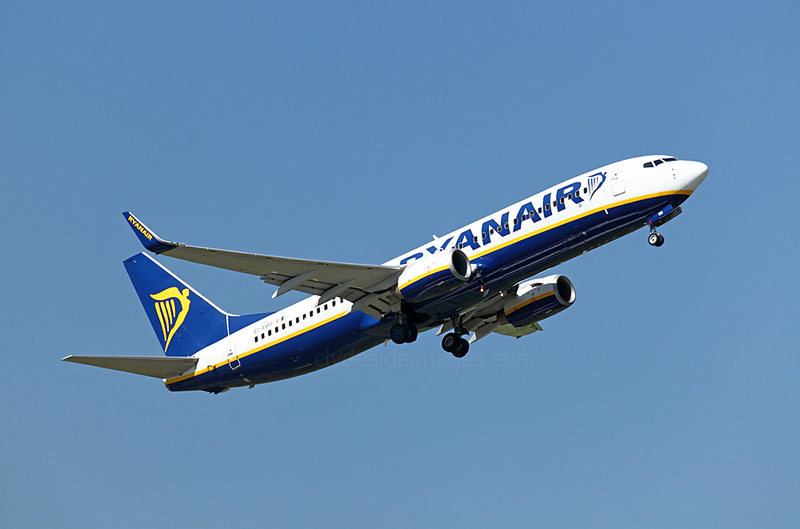 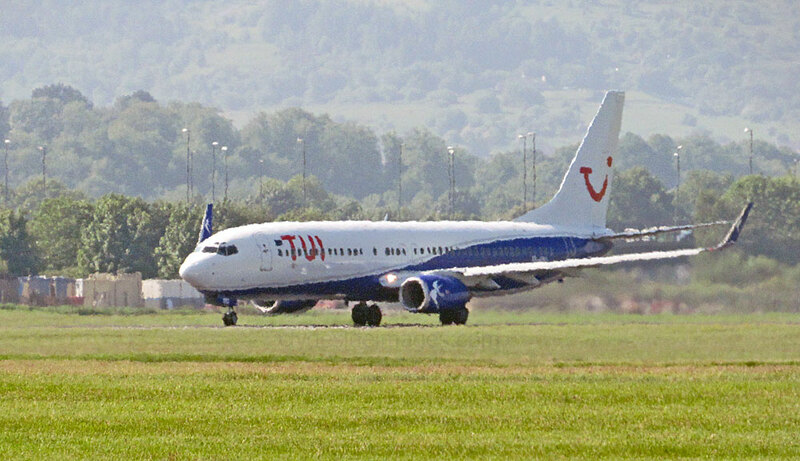 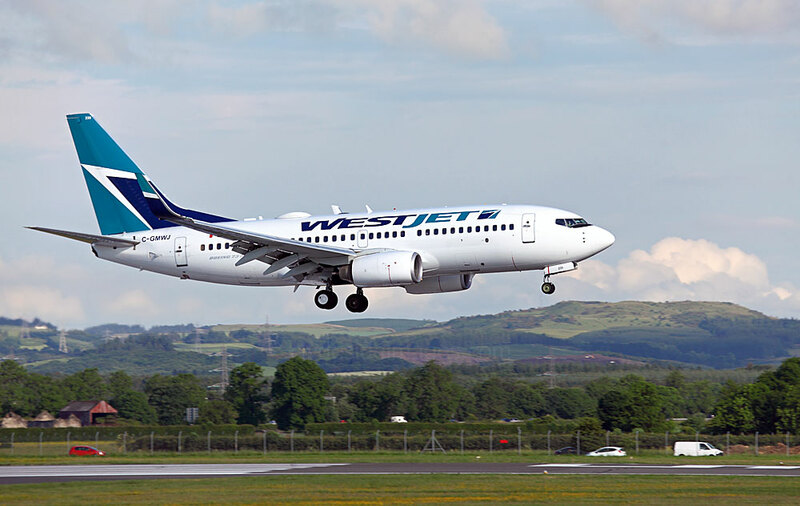 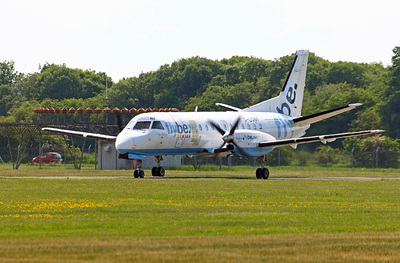 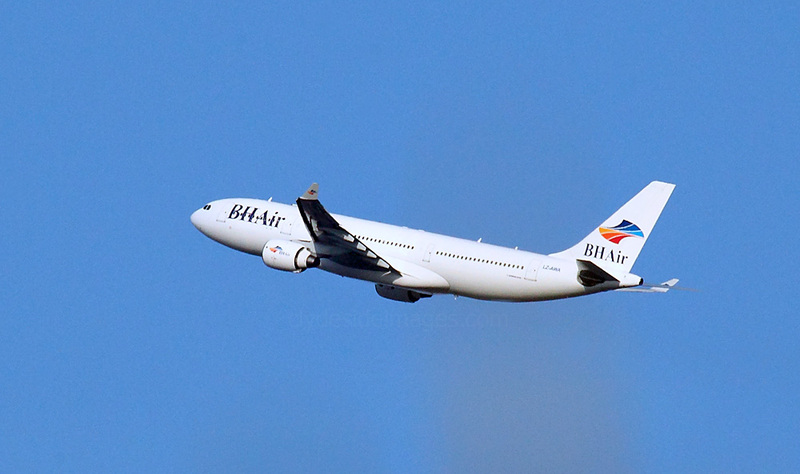 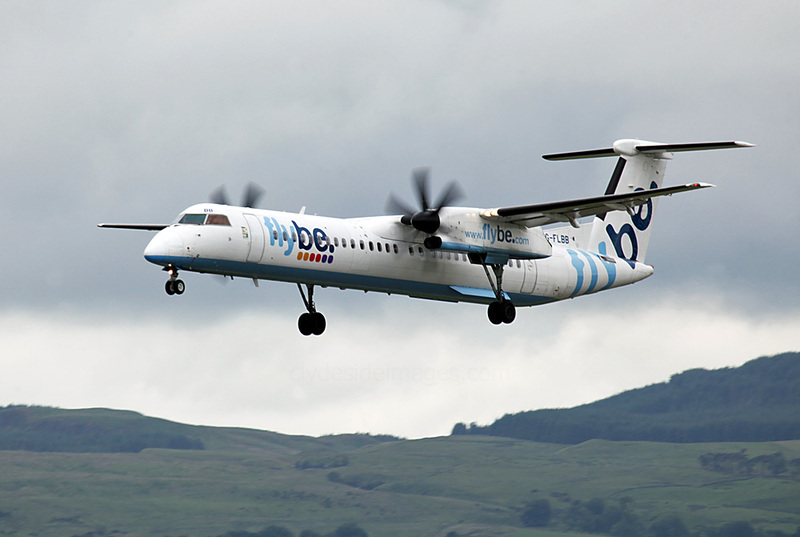 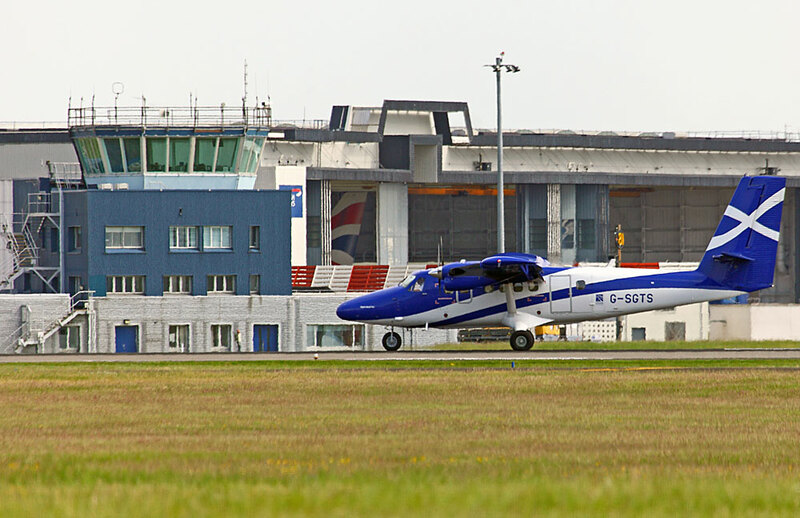 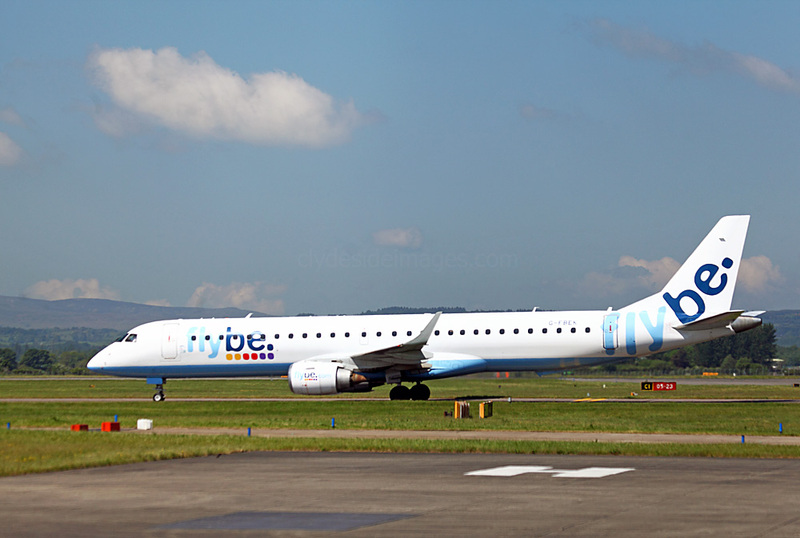 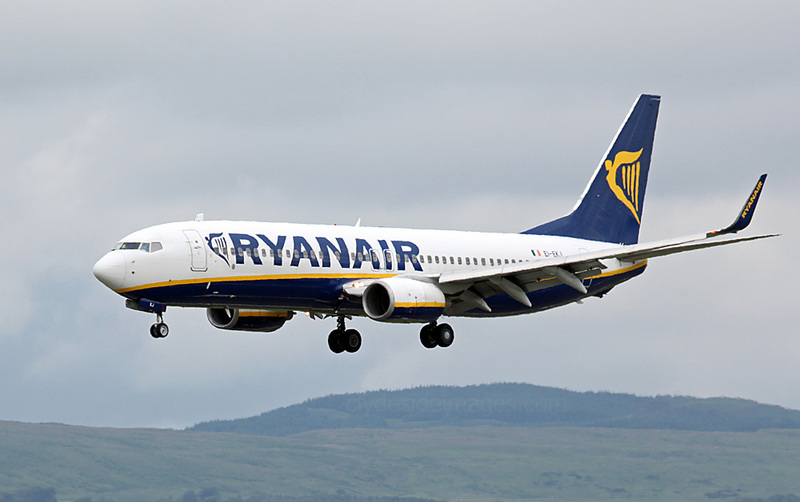 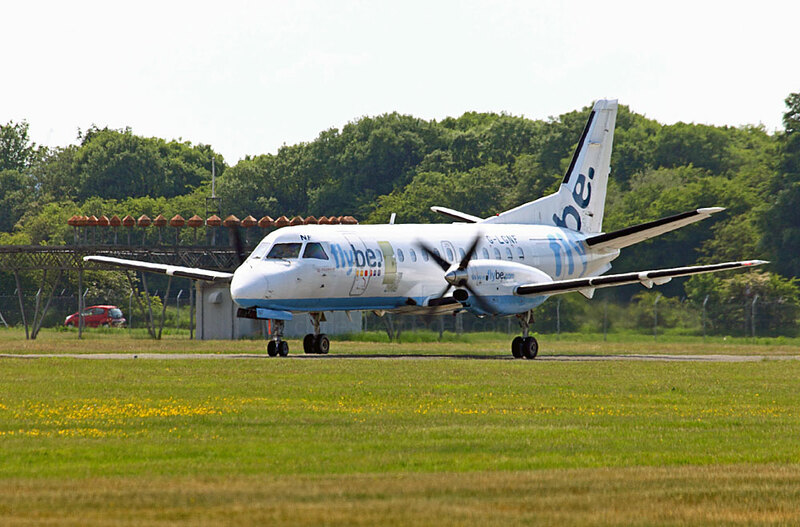 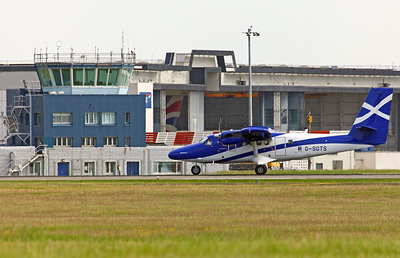 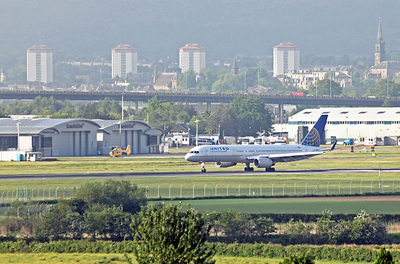 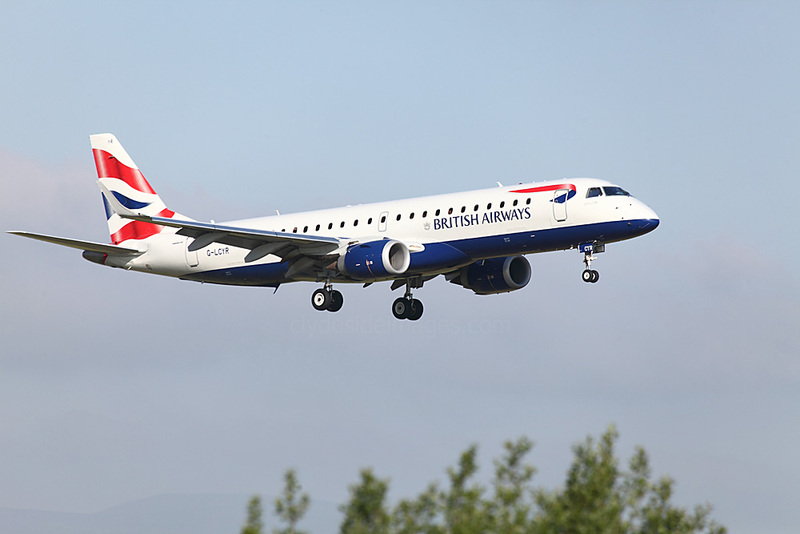 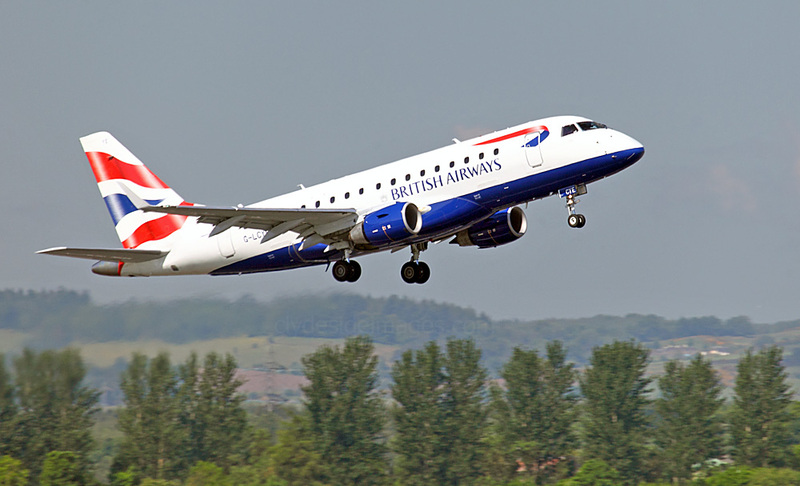 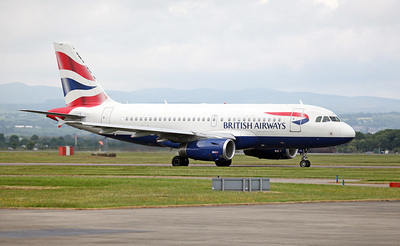 Both airliners have been acquired by Blue Air, a Romanian low-cost airline headquartered in Bucharest, with its main hubs at Henri Coandă International Airport and Turin Airport. 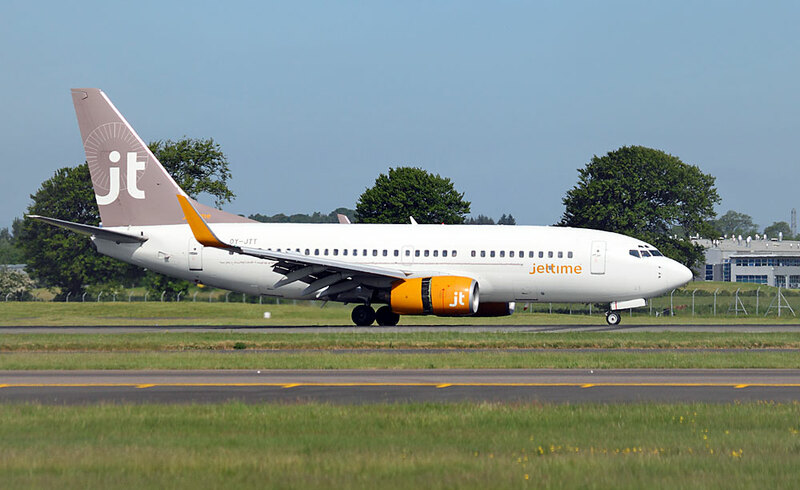 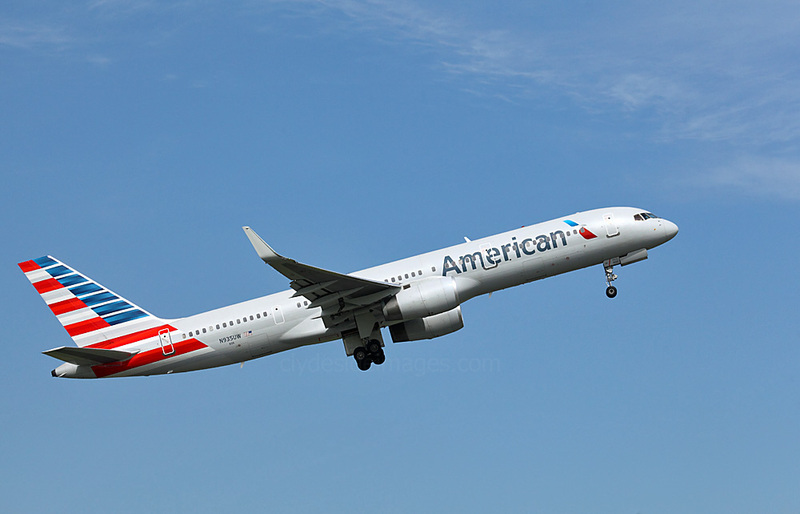 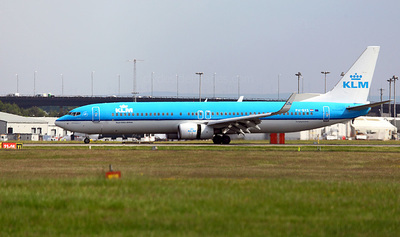 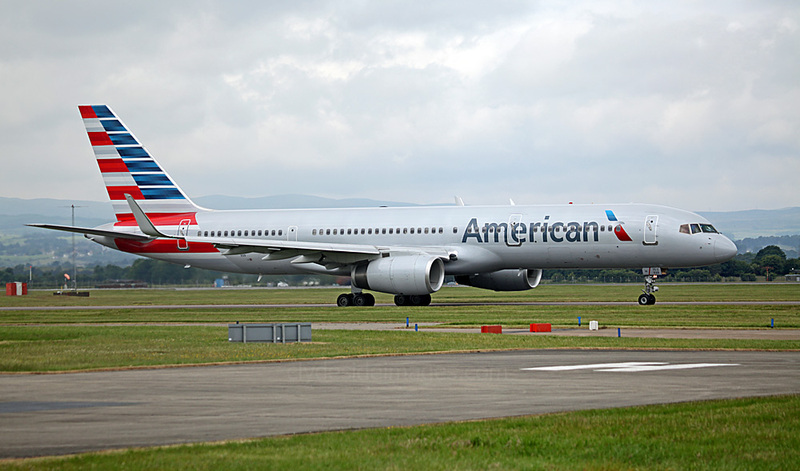 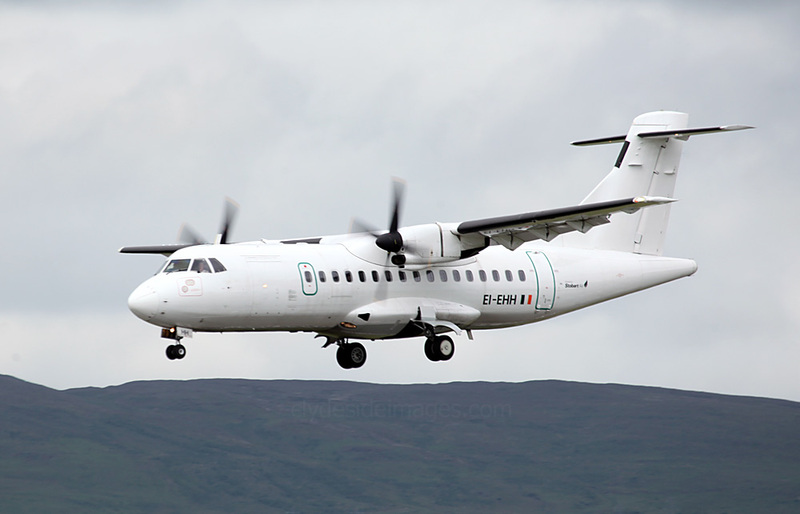 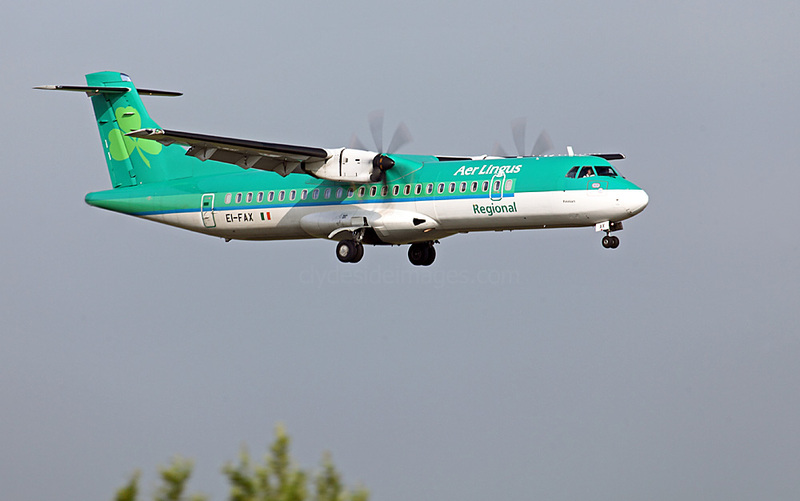 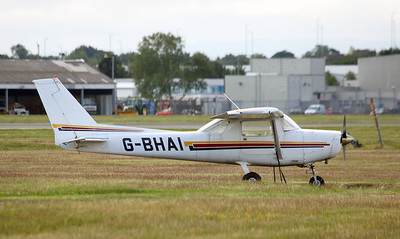 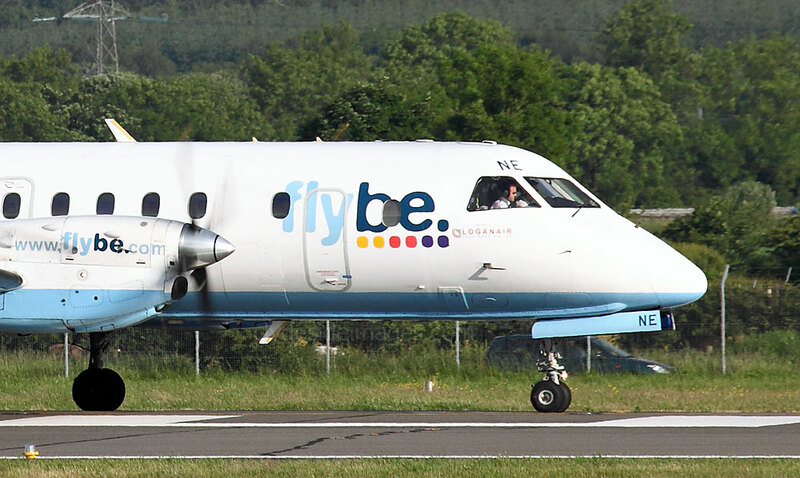 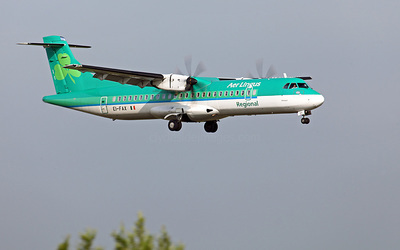 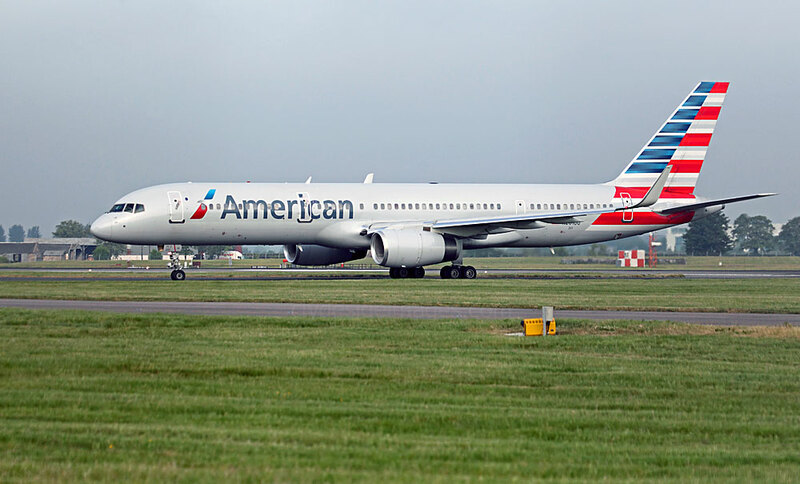 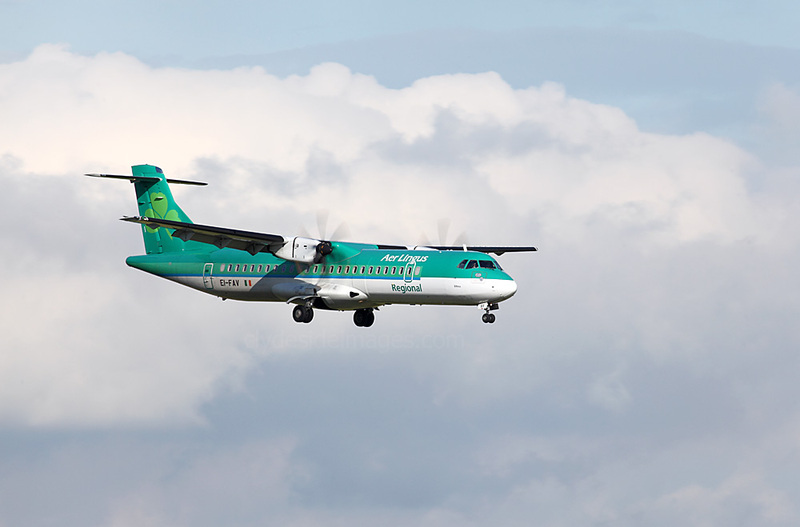 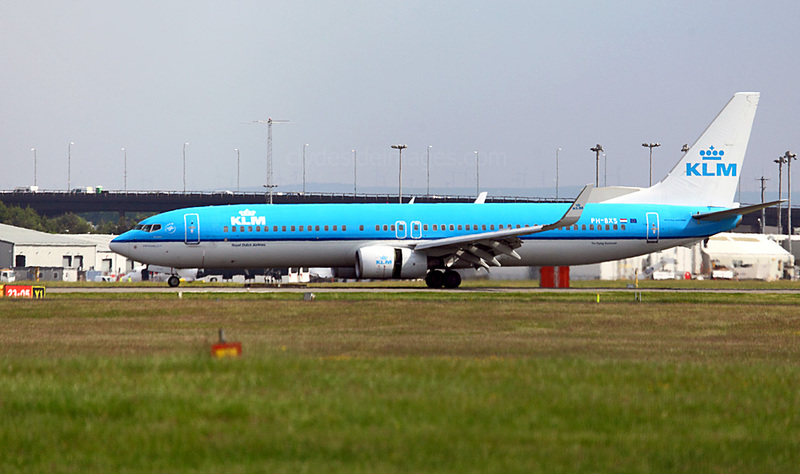 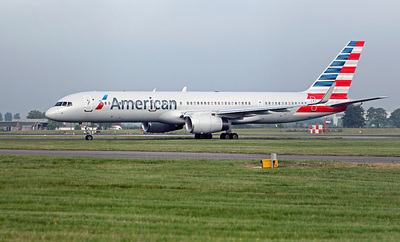 ​N940AU`s previous identity was `Oberhausen`, bearing the German registration D-ABIP, and the aircraft will no doubt receive its YR- registration in the near future. 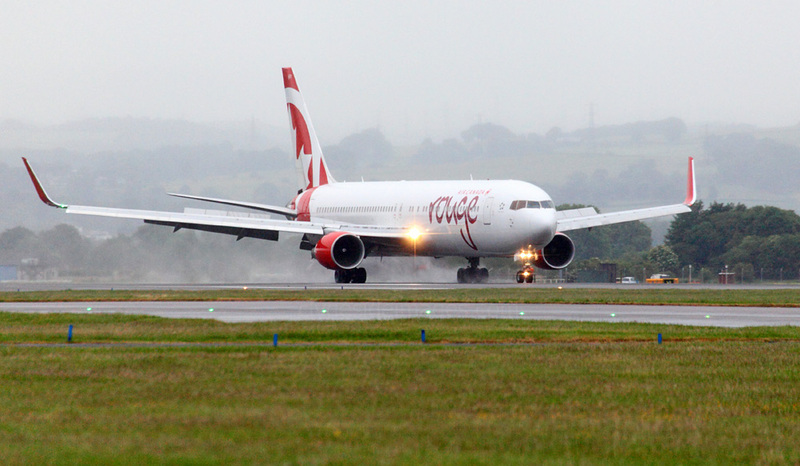 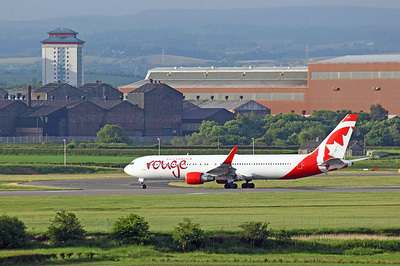 Boeing 767-300(ER) C-FMWY taxis past Citation Mustang G-FFFC to line-up for departure via Runway 23 on Tuesday 21 June. 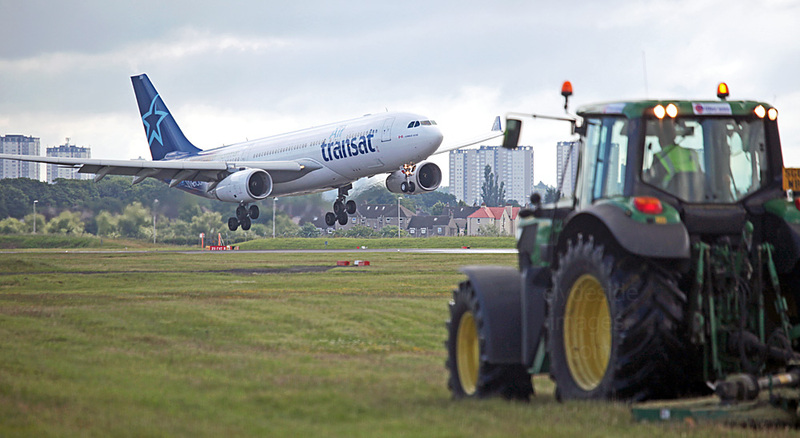 Grass-cutting continues as Air Transat Airbus A330-243 C-GTSJ touches down on Saturday 25 June. 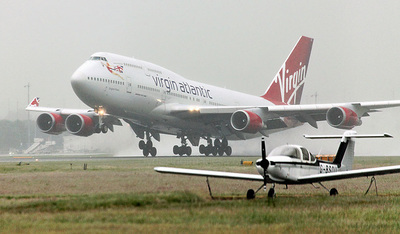 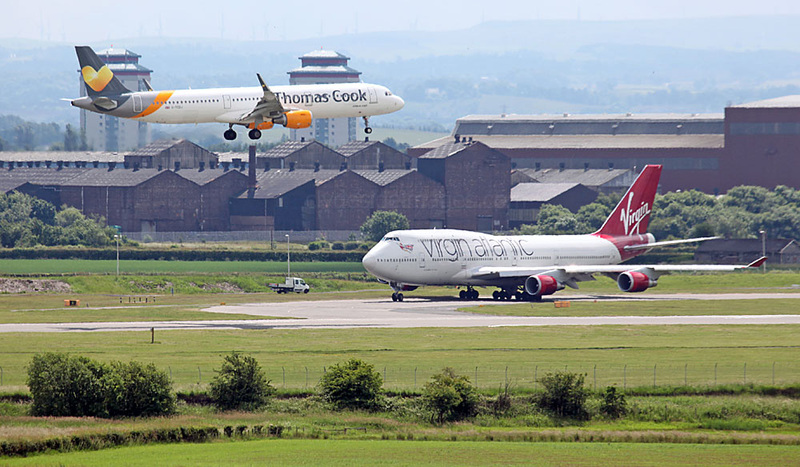 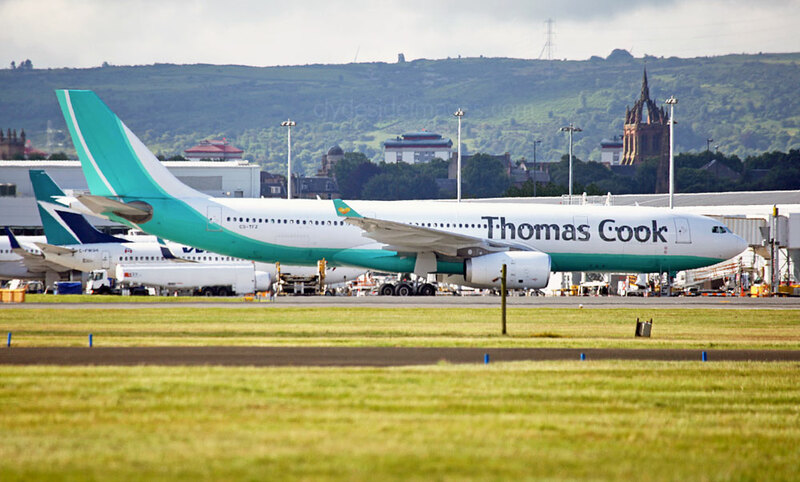 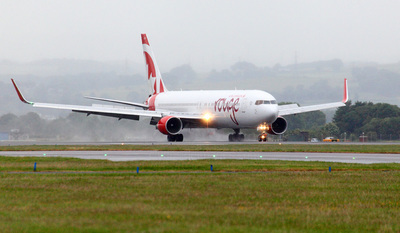 On Friday 24 June, Virgin Atlantic`s Orlando-bound 747 G-VAST holds at `Alpha One` while a Thomas Cook `Kestrel` flight lands. 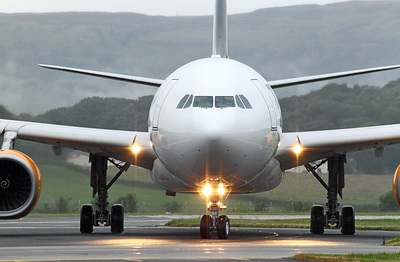 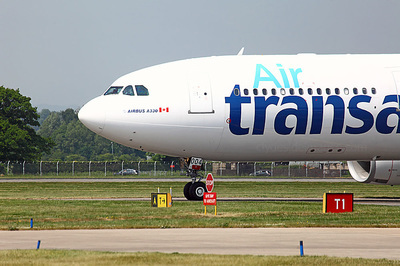 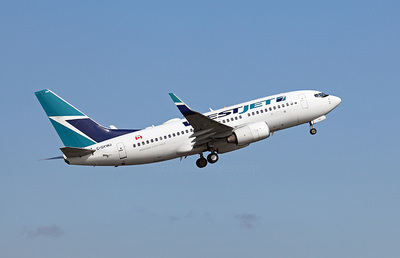 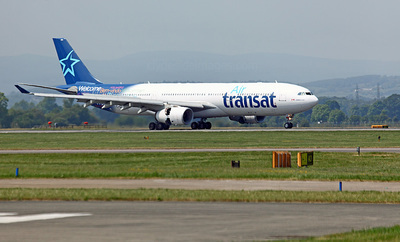 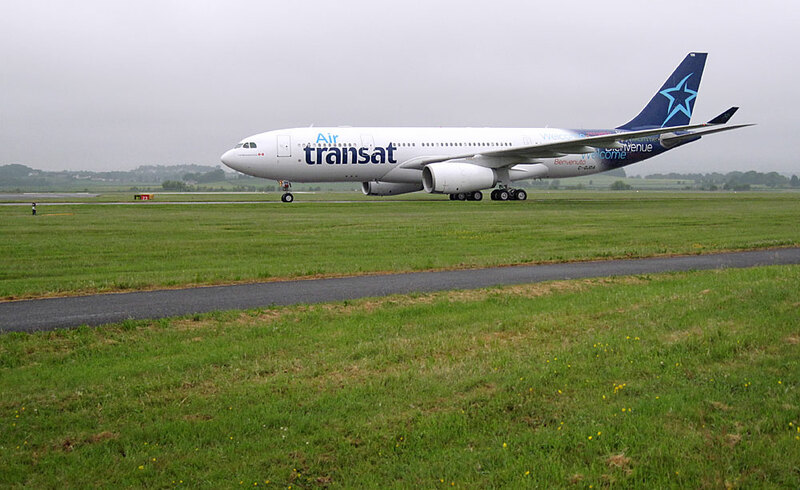 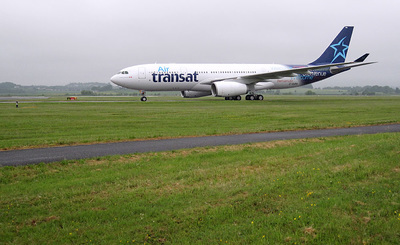 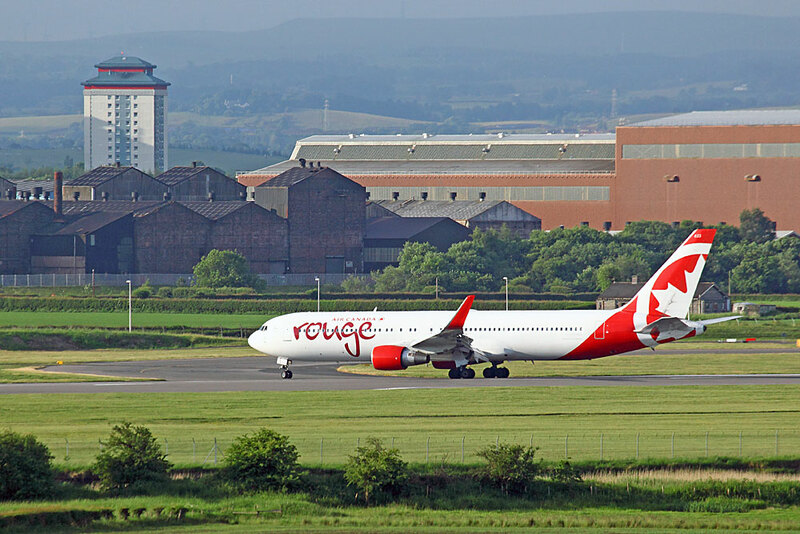 Air Transat Airbus A330-343 C-GTSD operated the Toronto/ Glasgow service on Thursday 9 June. 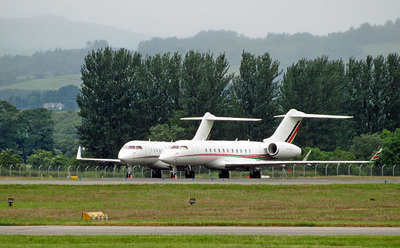 Eurowings CRJ-900LR D-ACNU ready for take-off. 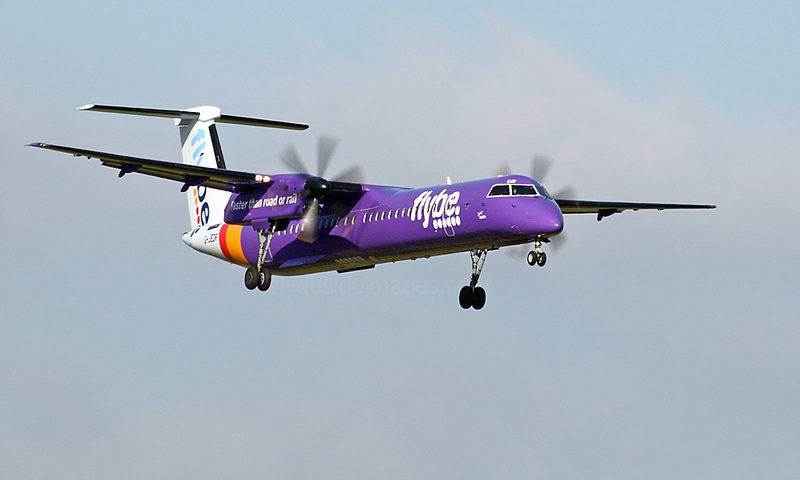 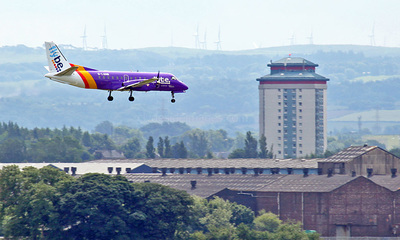 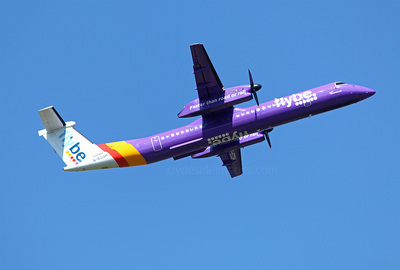 Wizz Air A320-232(WL) HA-LYQ (f/v) on the 25th, waits for a Flybe Dash 8 to land before lining up for a 05 departure. 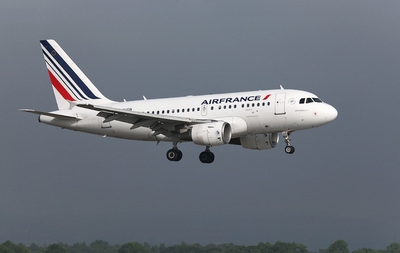 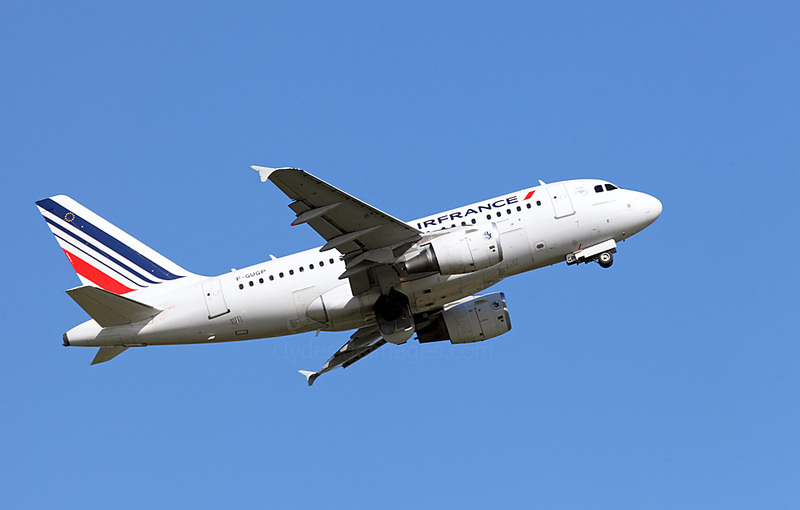 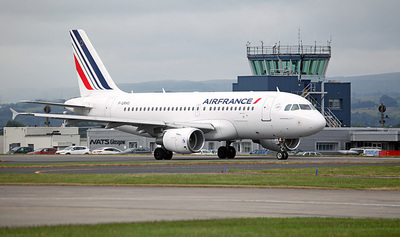 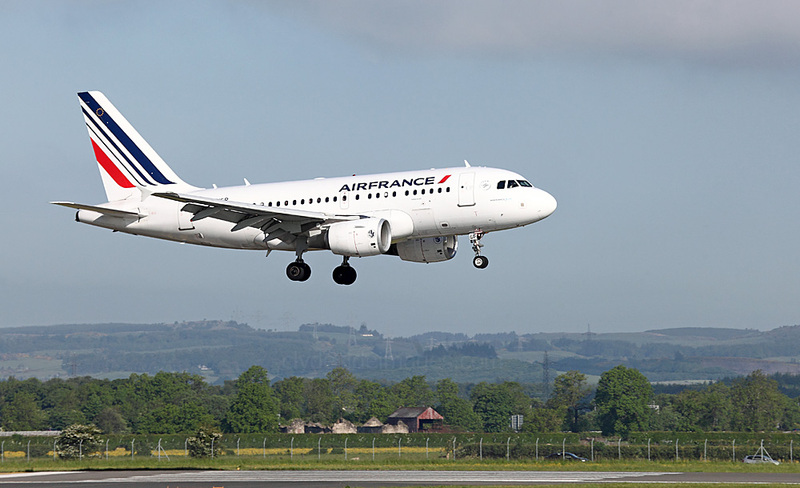 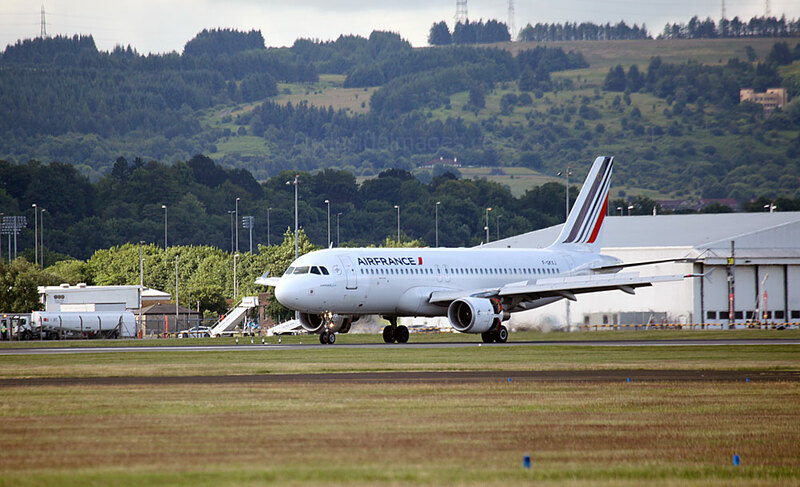 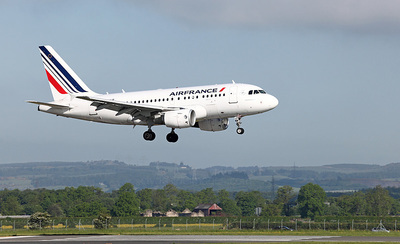 Air France Airbus A320-214 F-GKXJ, another first-timer, is seen here arriving on Saturday 25 June. 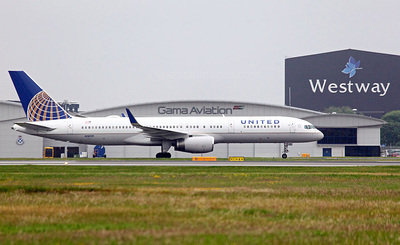 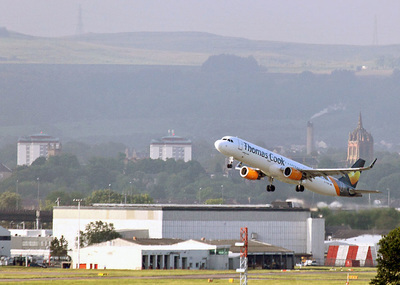 Lufthansa Airbus A320-214(WL) D-AIUU made at least two visits to Glasgow this month. 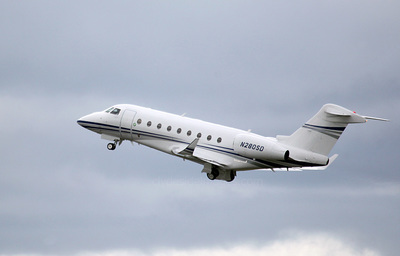 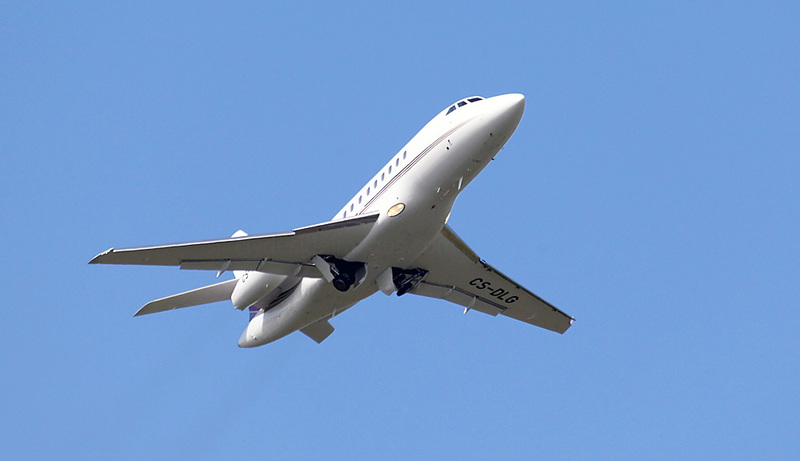 NetJets Europe Dassault Falcon 2000 CS-DLG climbing steeply after a `05` departure on Friday 3 June. 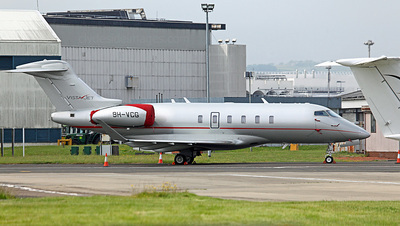 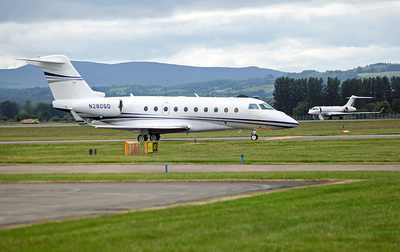 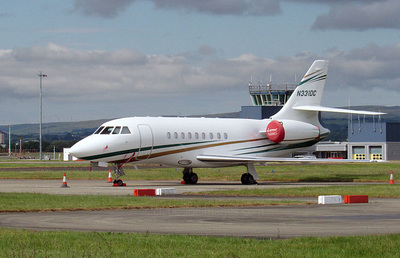 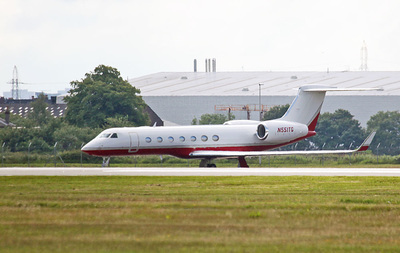 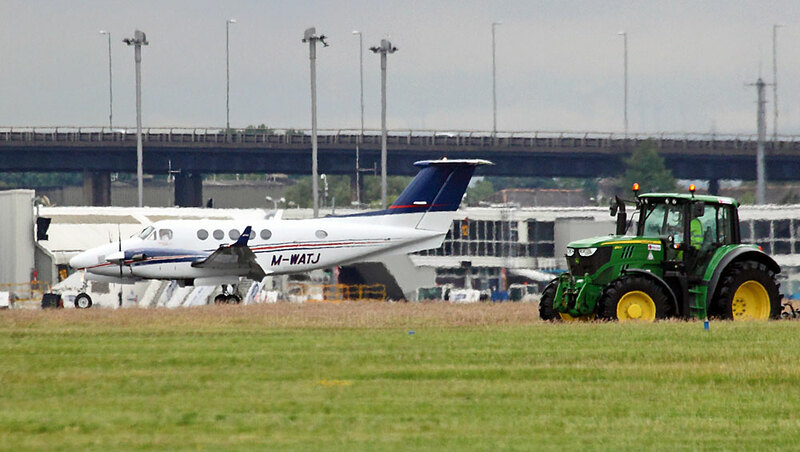 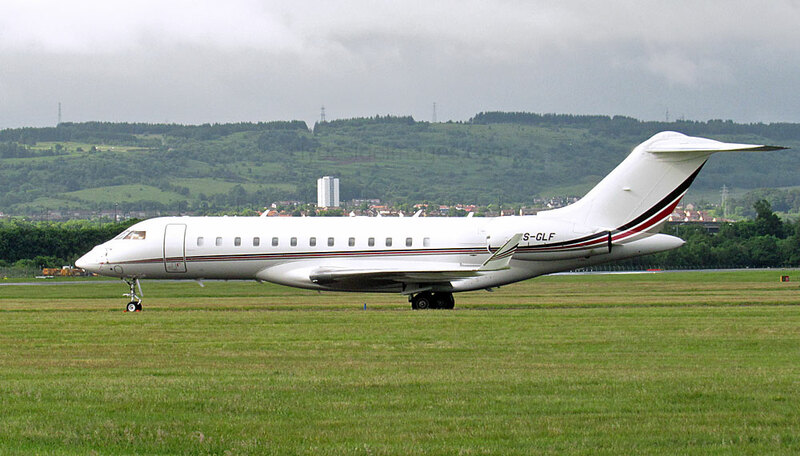 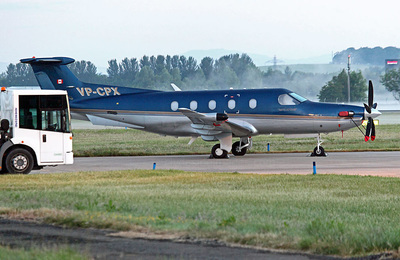 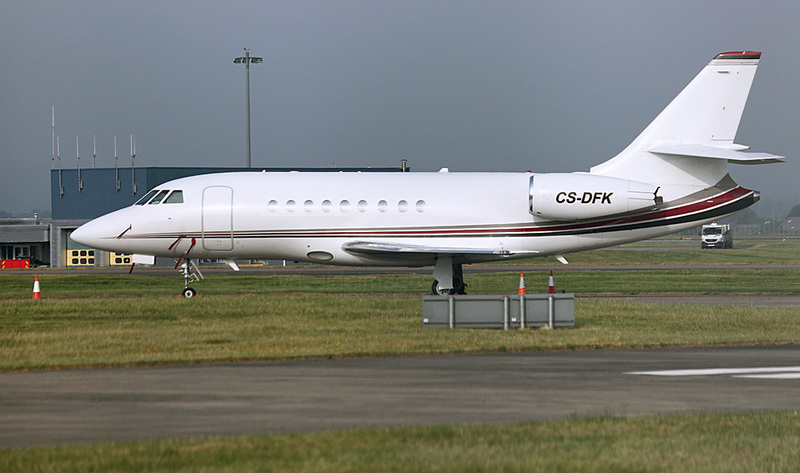 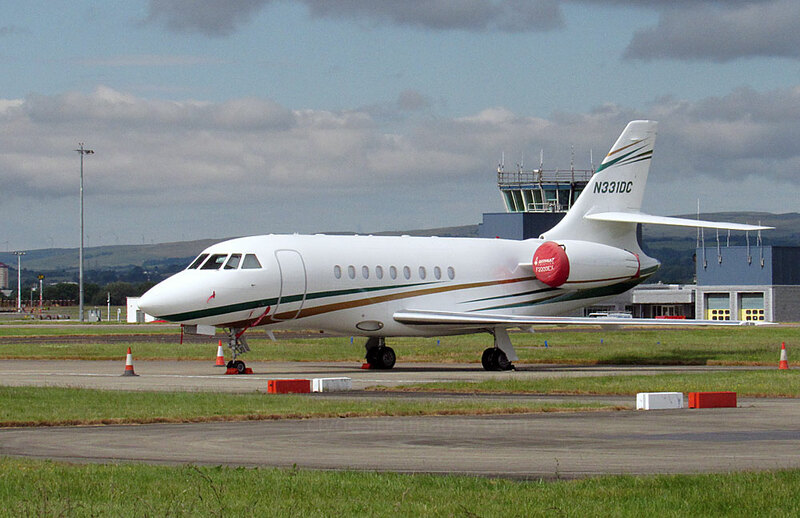 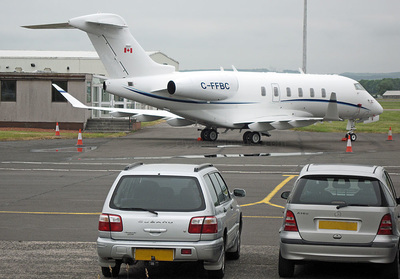 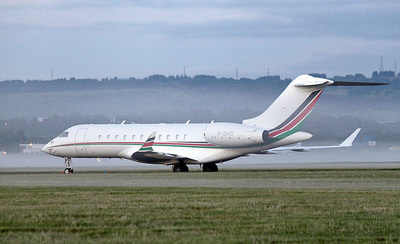 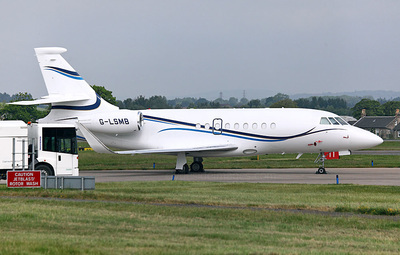 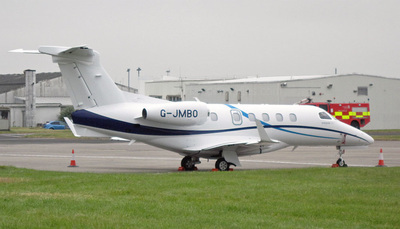 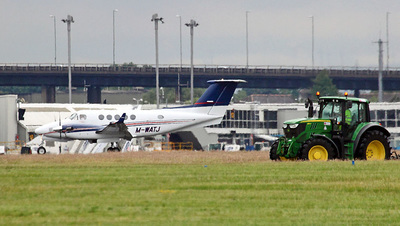 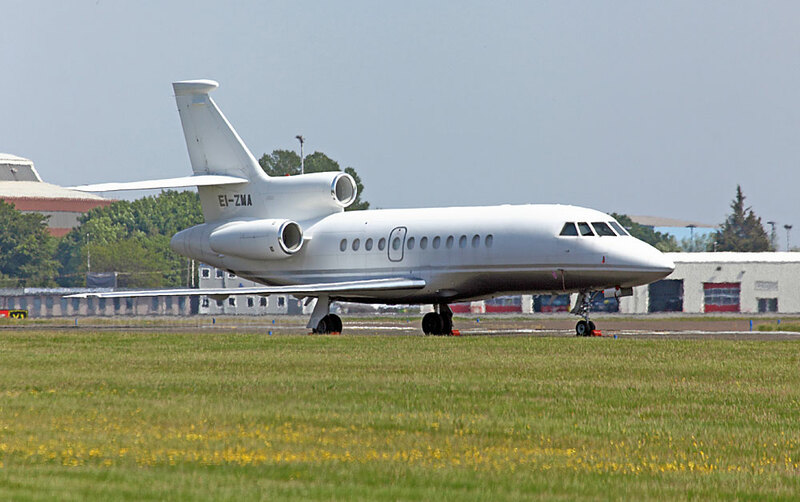 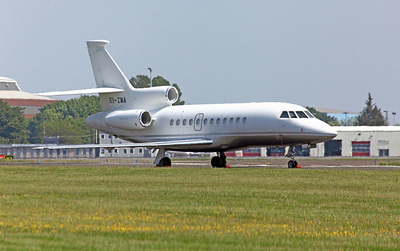 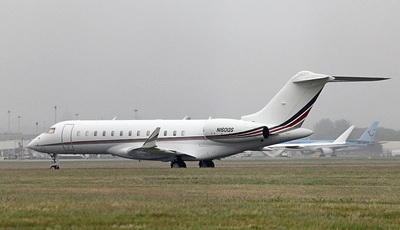 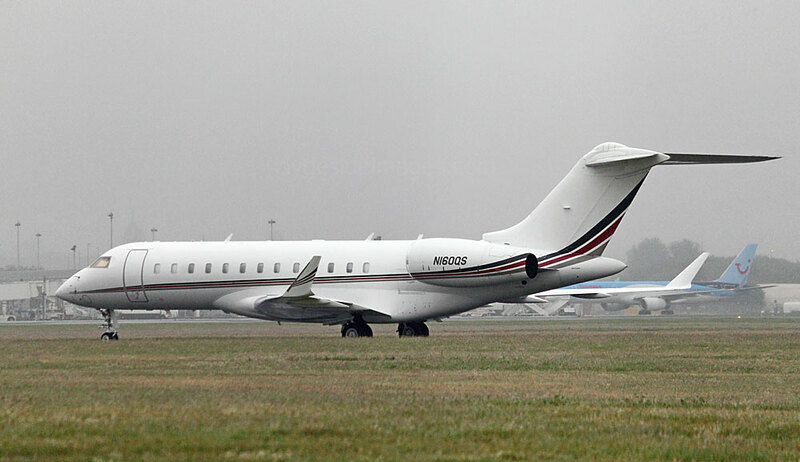 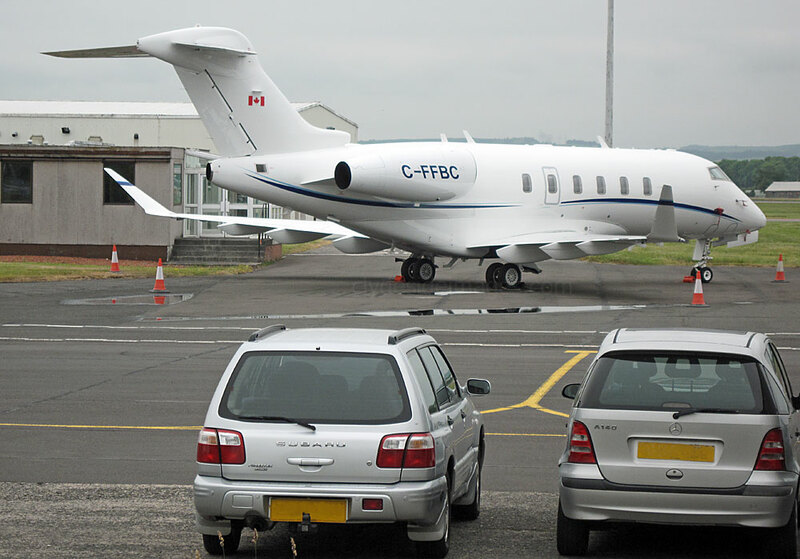 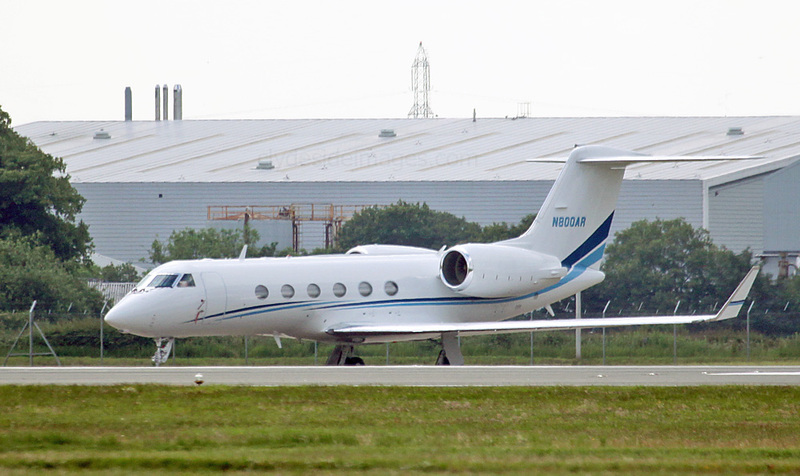 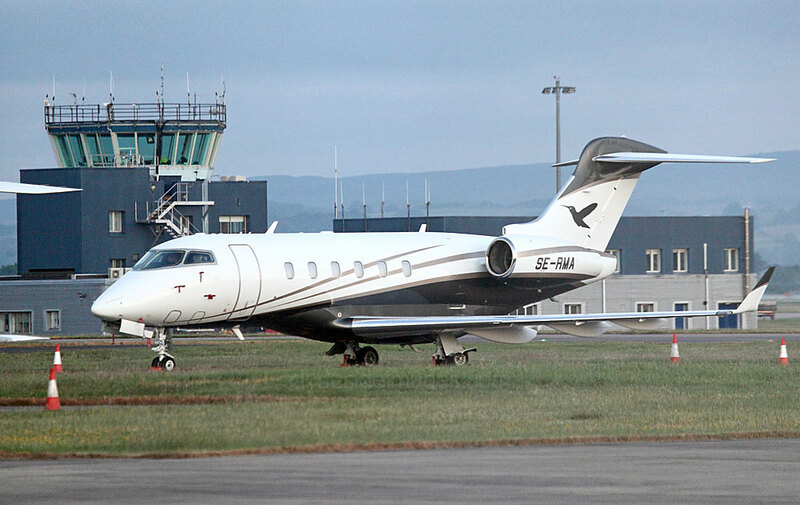 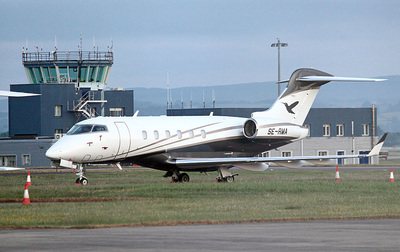 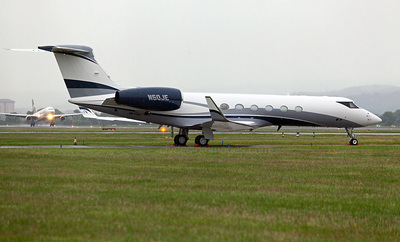 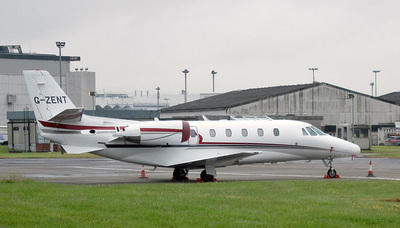 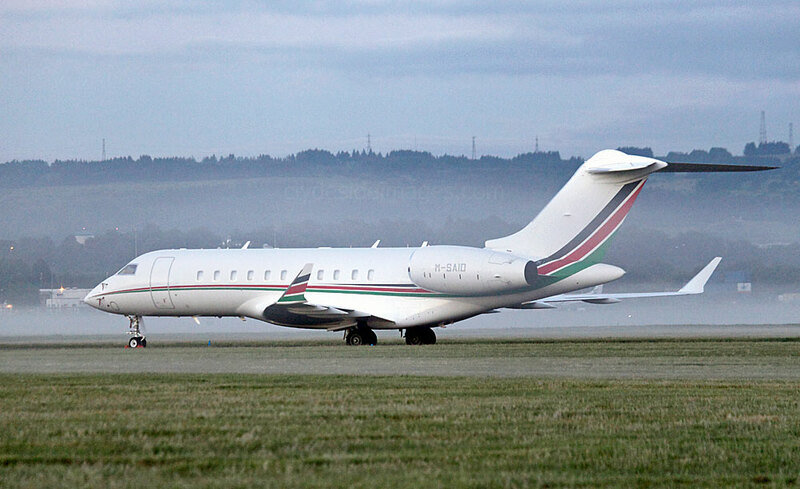 Bombardier BD700 Global 5000 M-SAID parked on Taxiway `Yankee`. 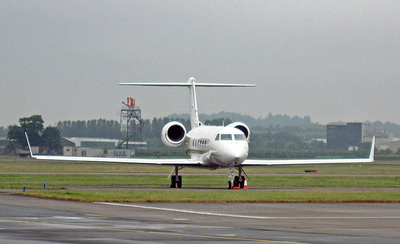 04:00hrs, Saturday 18 June. 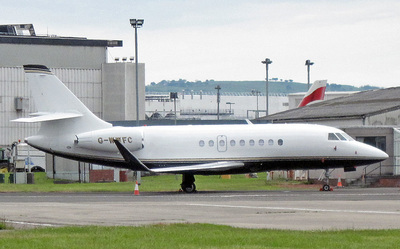 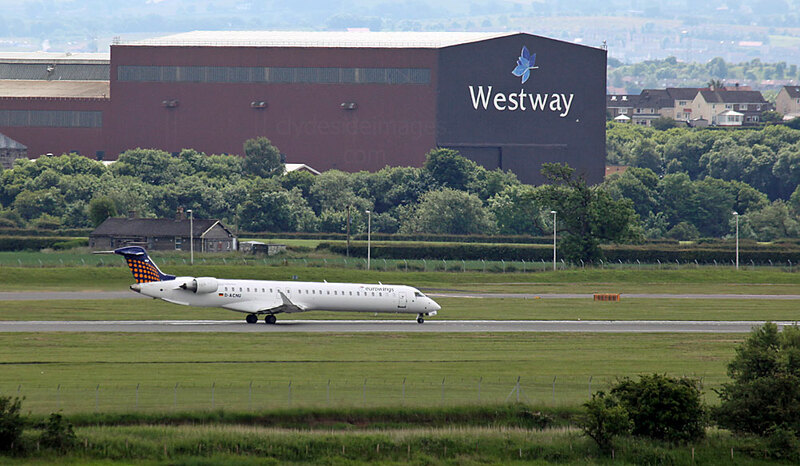 Bombardier Global 6000 9H-VJC of VistaJet was parked on Area R on Saturday 4 June. 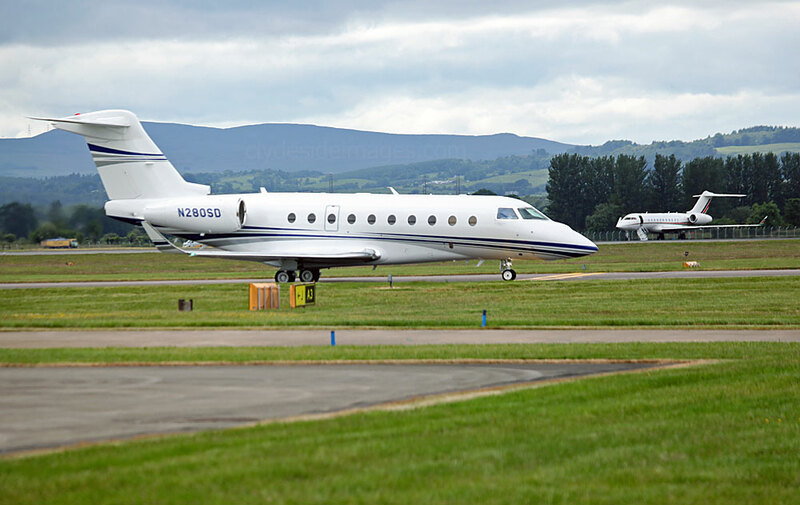 Area `J` occupants when I passed by on the morning of Monday 13 June were ​(L to R) Cessna Citation XLS G-ZENT, Luxwing Embraer EMB-500 Phenom 100 9H-FAM (f/v), Gulfstream 450 N461QS (f/v) and Cessna CitationJet CJ2 M-IWPS. 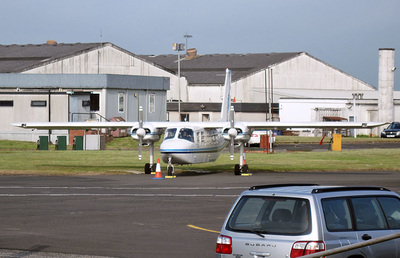 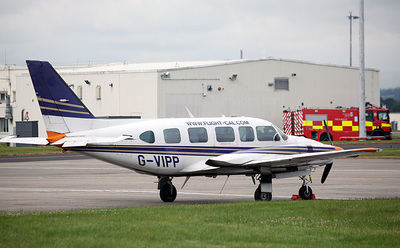 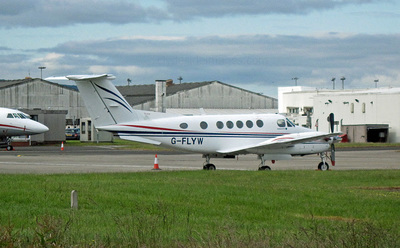 Fairchild Metro 23 OY-NPF is one of three of this type operated by North Flying which is based at Aalborg in Denmark. 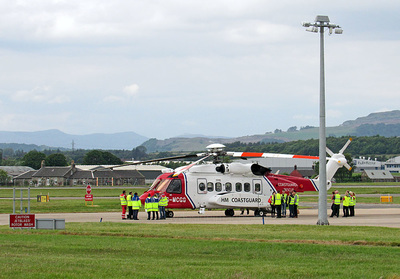 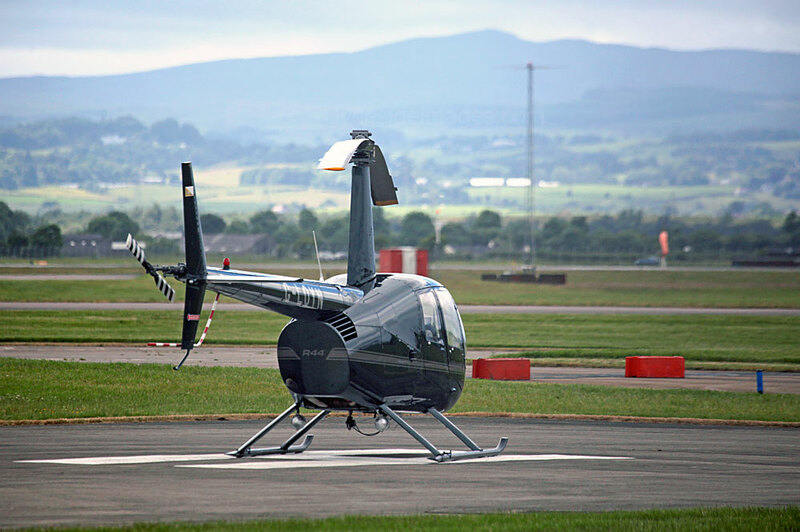 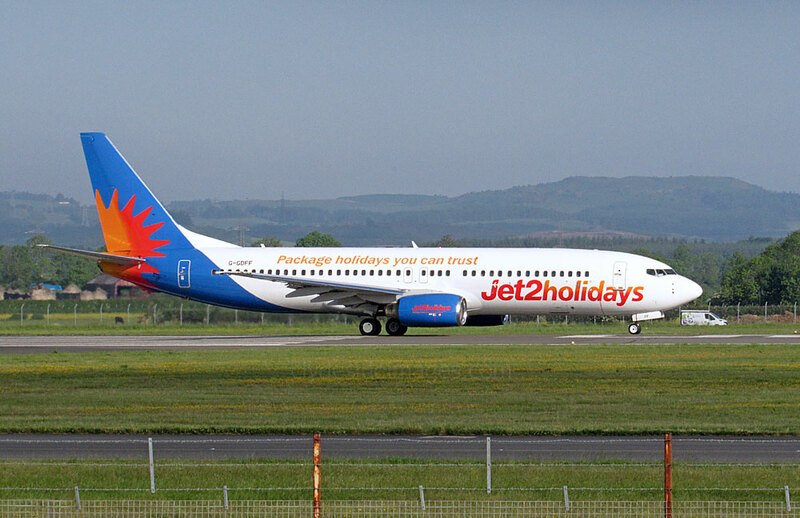 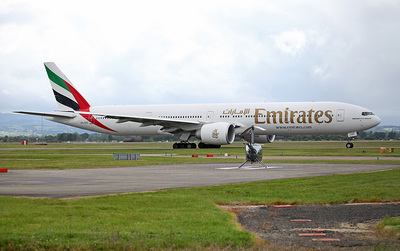 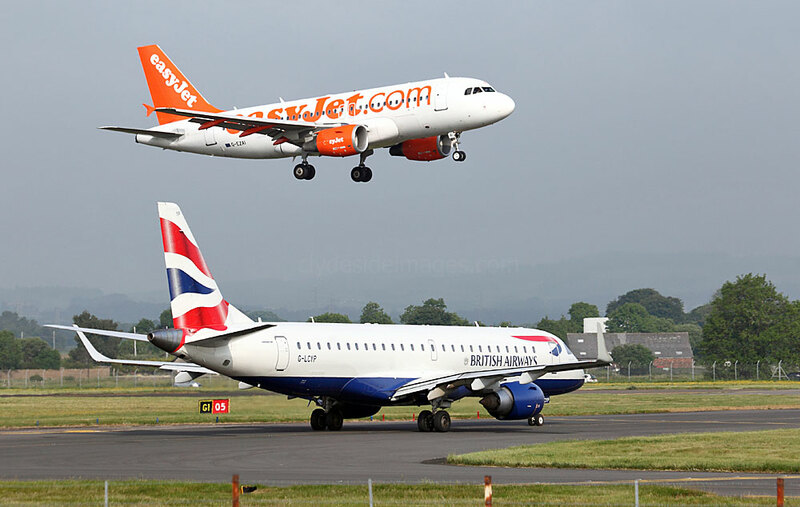 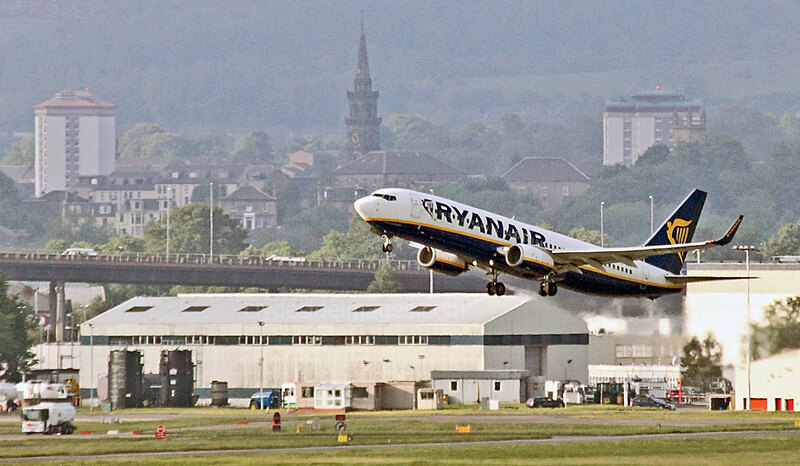 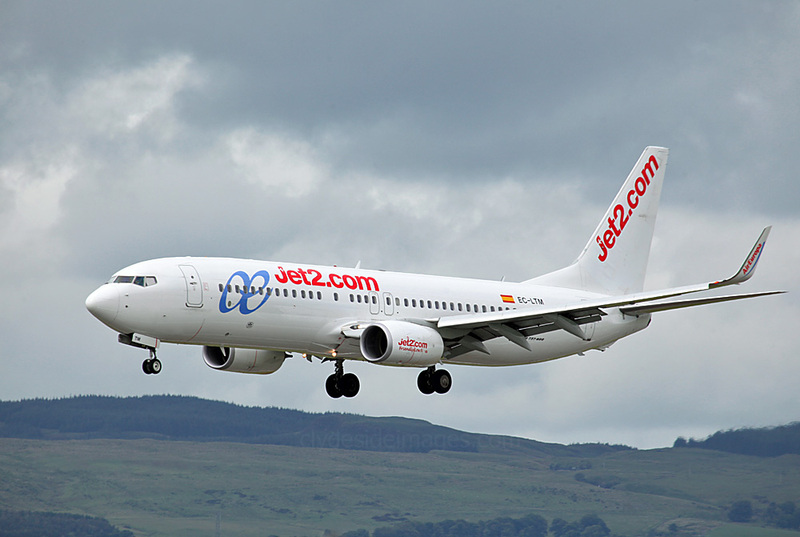 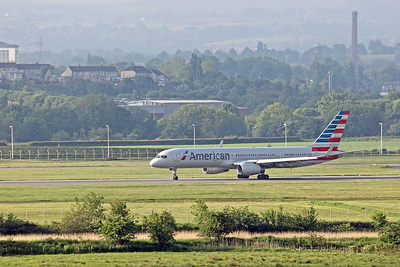 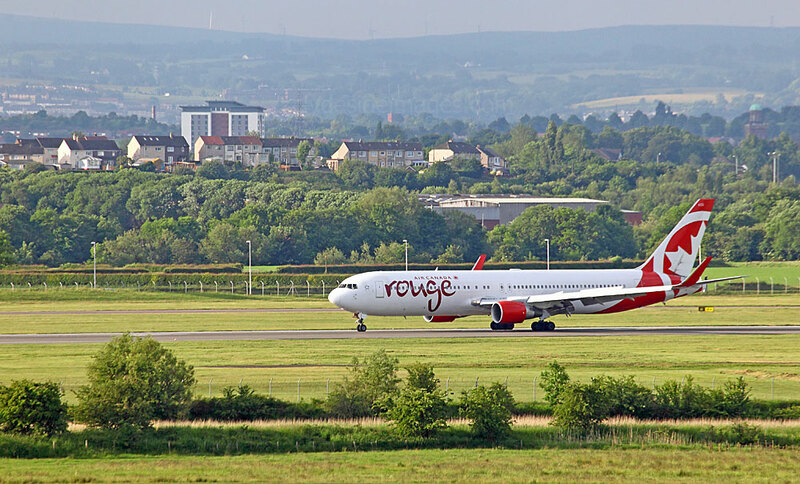 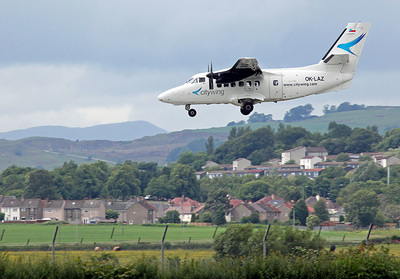 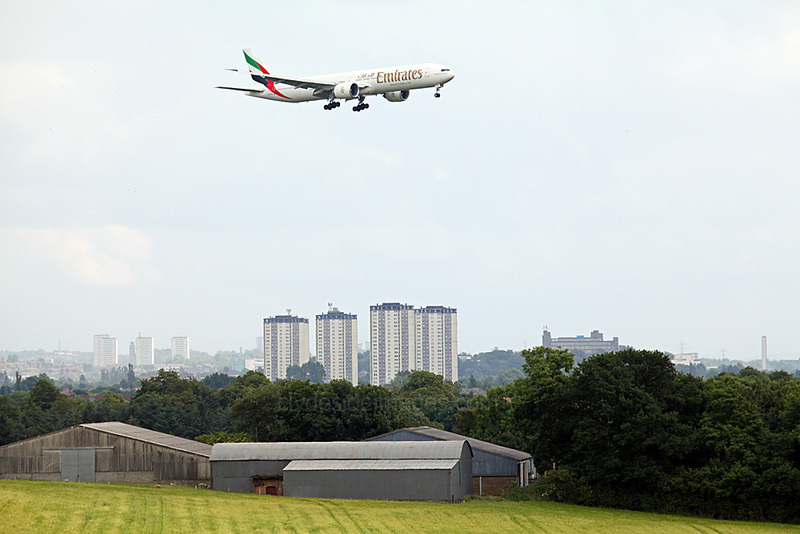 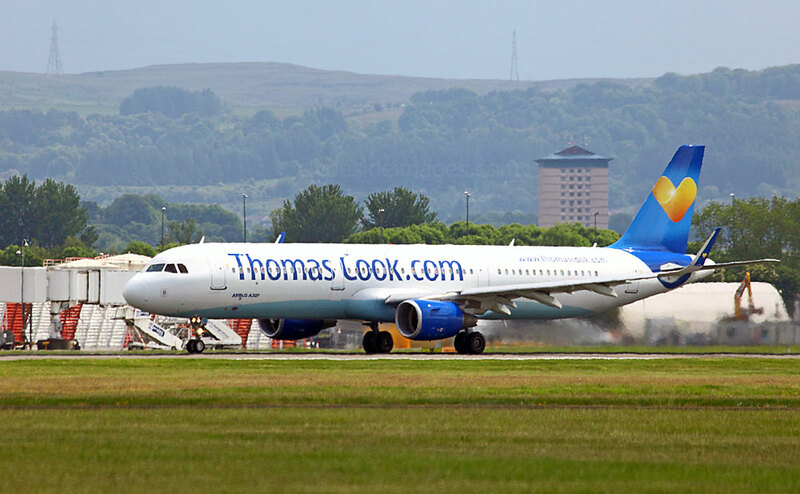 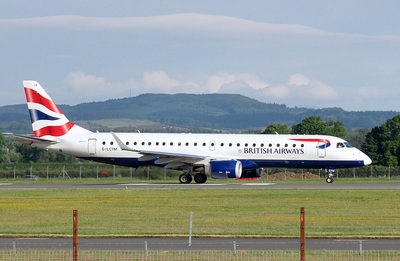 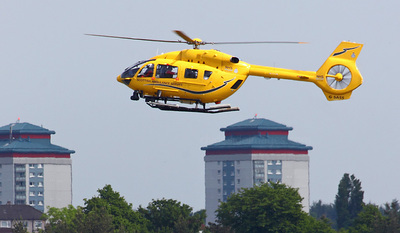 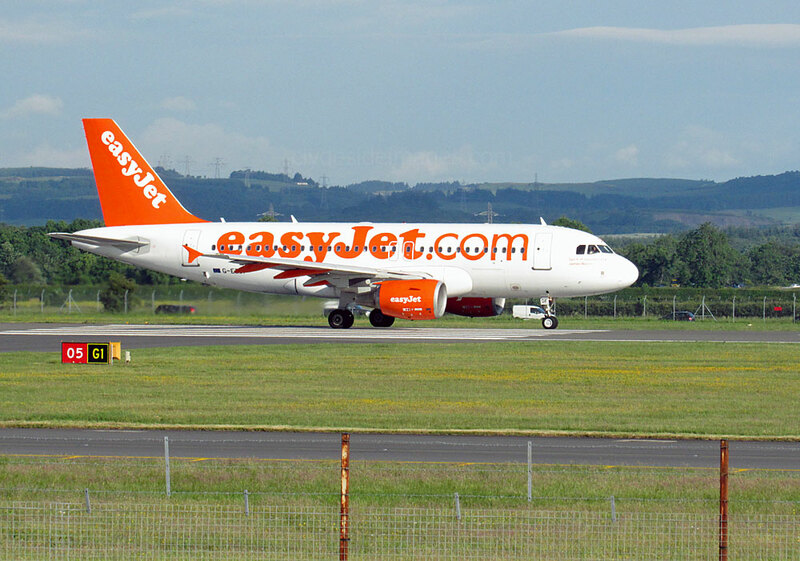 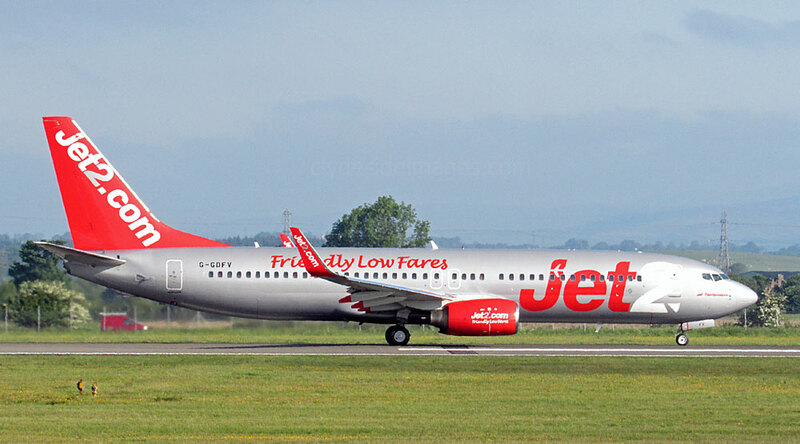 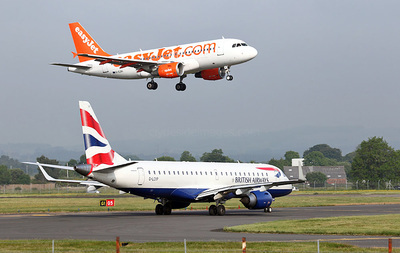 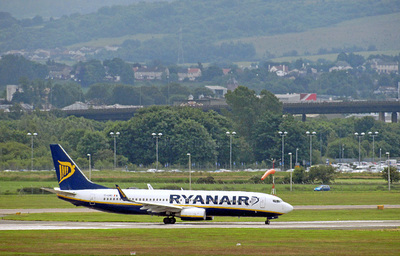 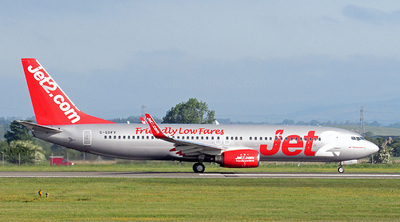 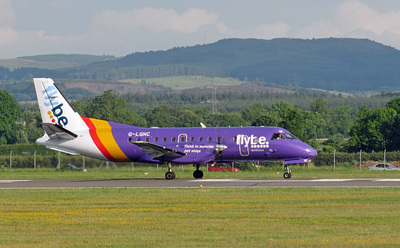 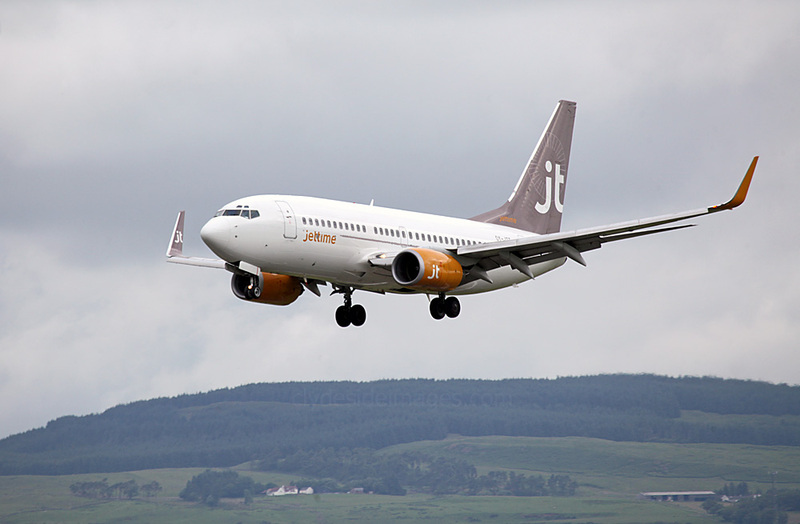 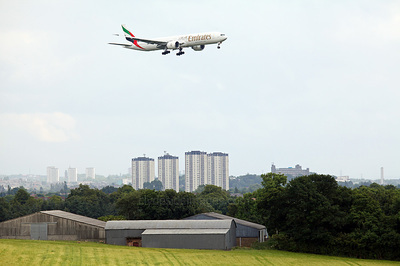 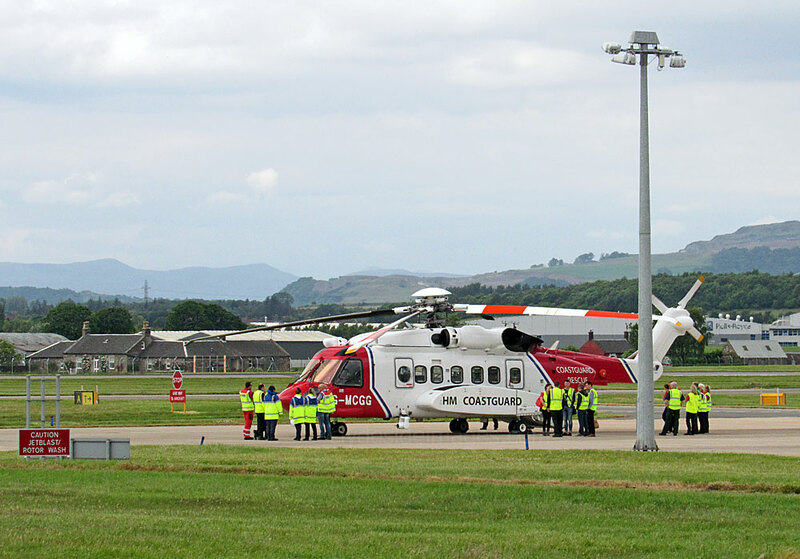 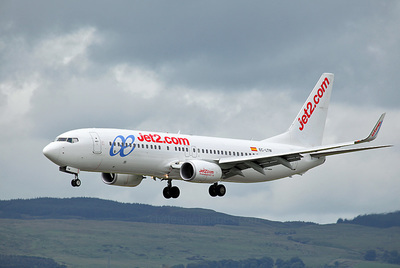 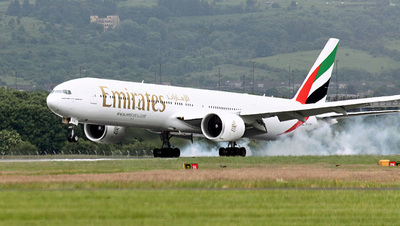 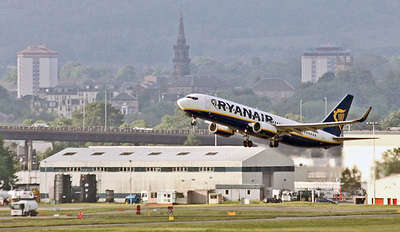 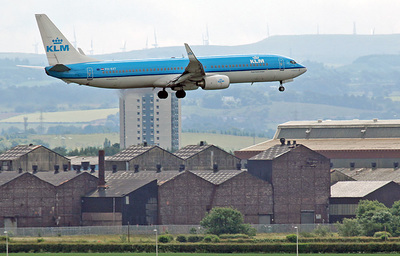 It called in at Glasgow on Monday 20 June. 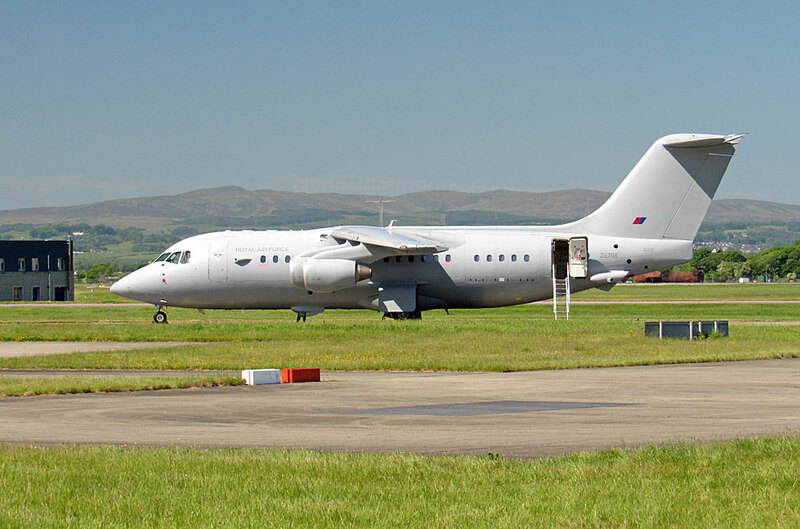 Metro production ended in 1998 but a large number are still flying with a wide variety of civilian and military operators across the globe. 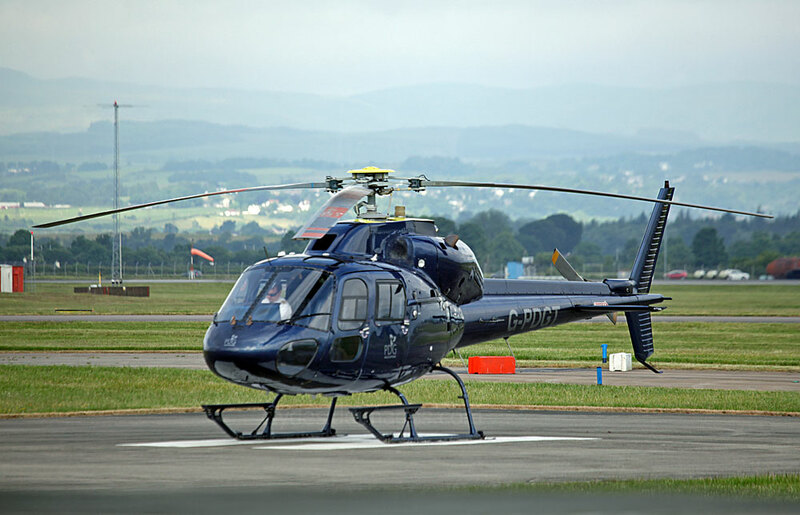 Aerospatiale AS-365N-2 Dauphin 2 G-LCPL featured in the 2015 James Bond movie Spectre. 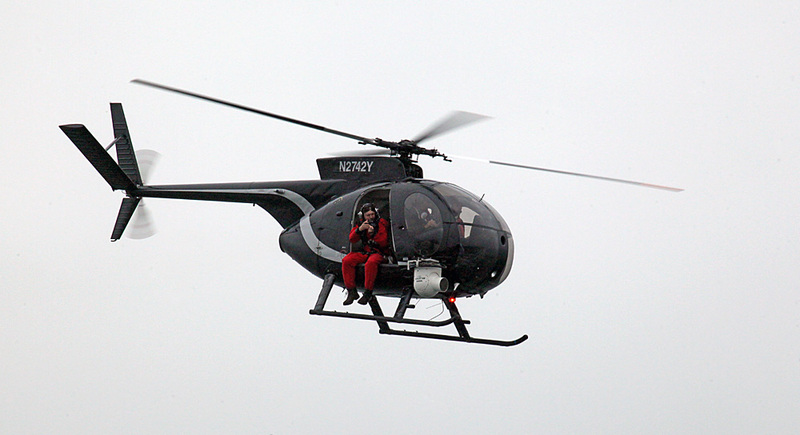 An action sequence involving a high-speed chase with a boat containing Daniel Craig a.k.a. 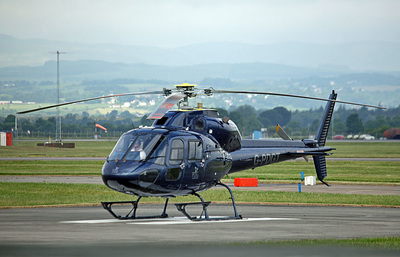 007, plus Bond girl Léa Seydoux, vs the helicopter was filmed on the River Thames close to Westminster Bridge in May last year. 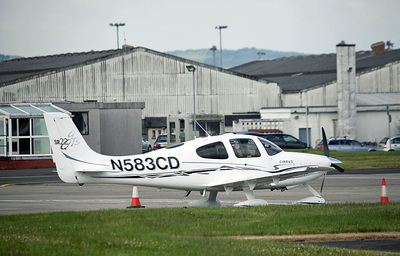 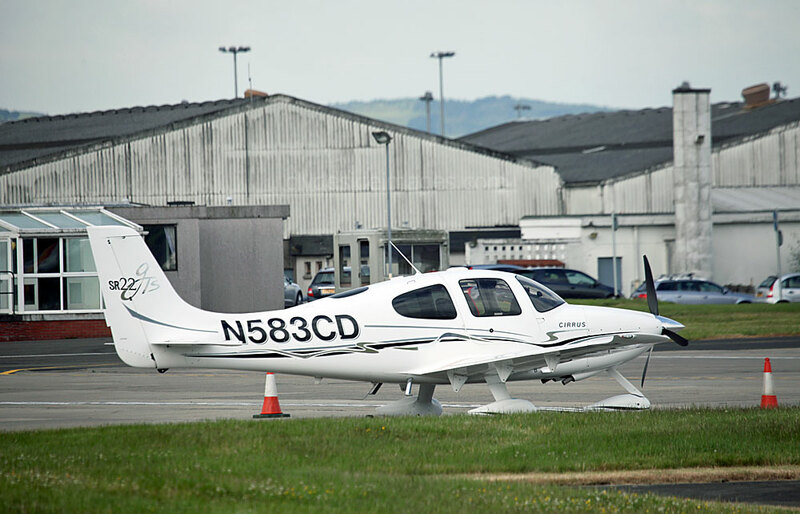 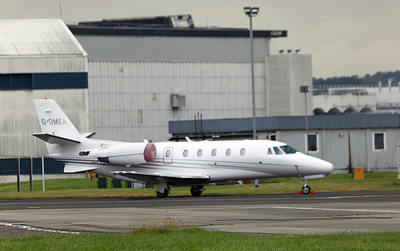 G-LCPL can also be spotted in a recent Jaguar "It's Good To Be Bad" TV commercial. 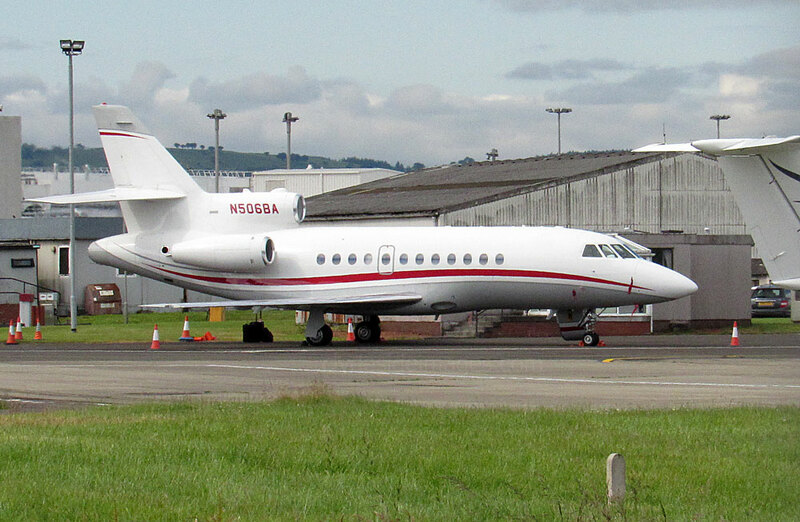 BAe 146-200 ZE708 called in at Glasgow on Thursday 2 June. 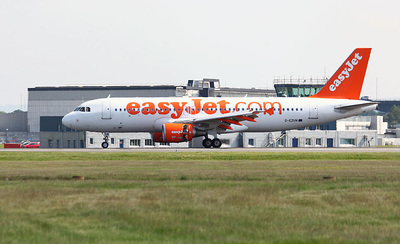 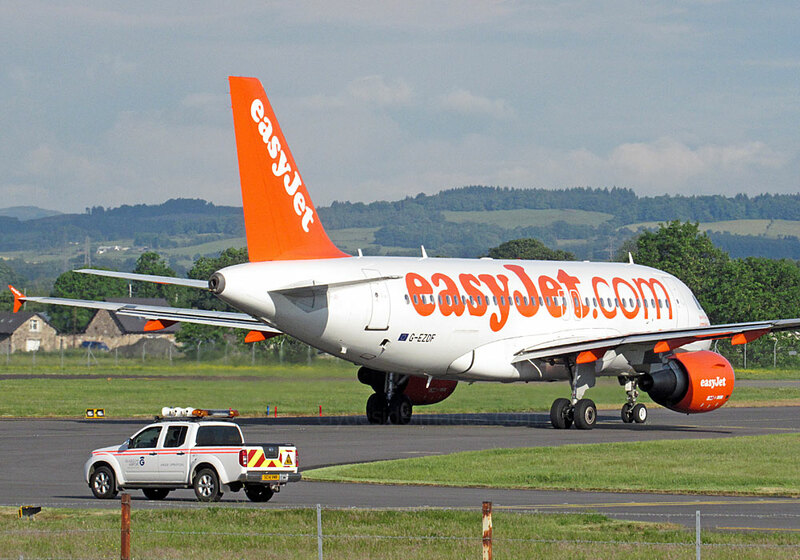 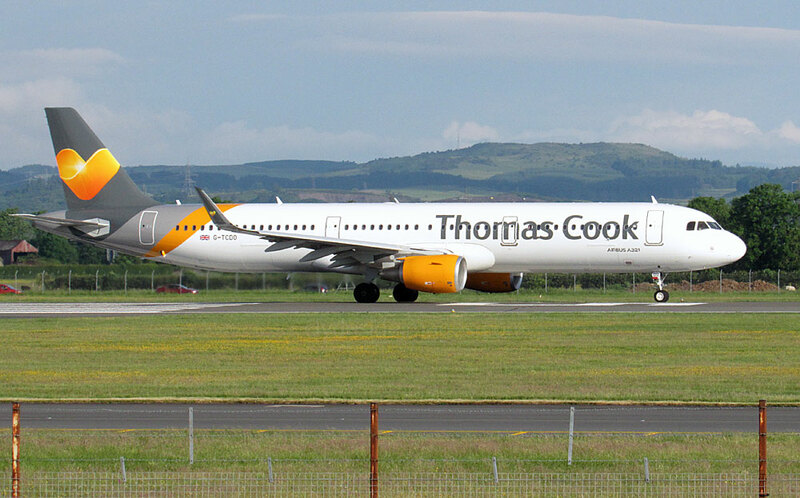 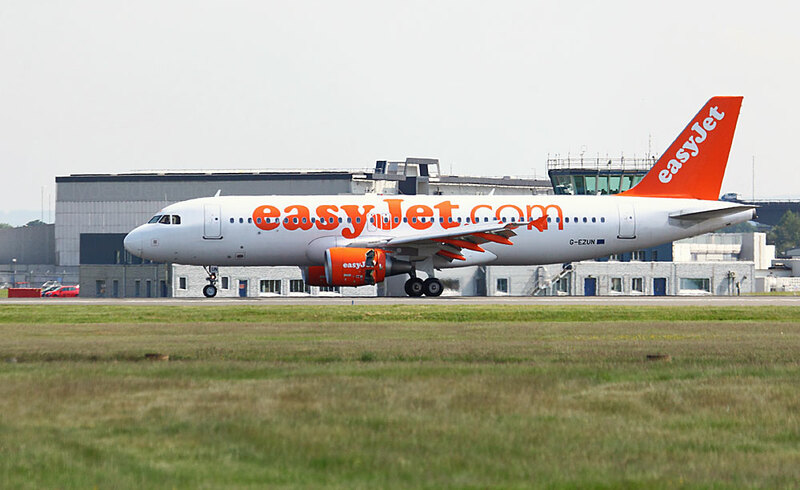 This is one of two ex-civilian aircraft previously operated by TNT Airways and modified to military C.3 operating standard prior to delivery to the Royal Air Force in March 2012, the other being ZE707. 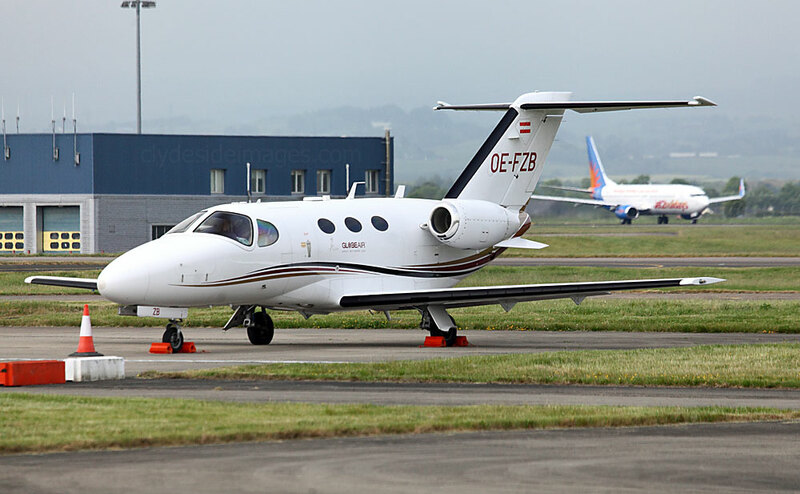 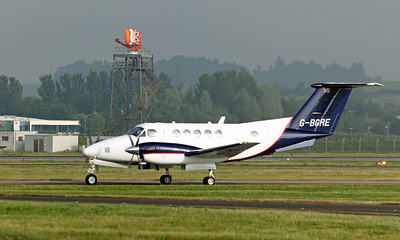 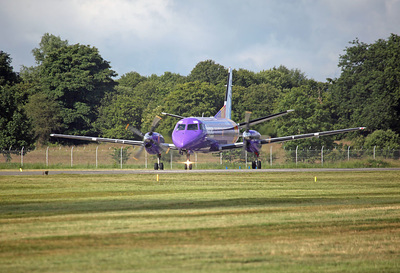 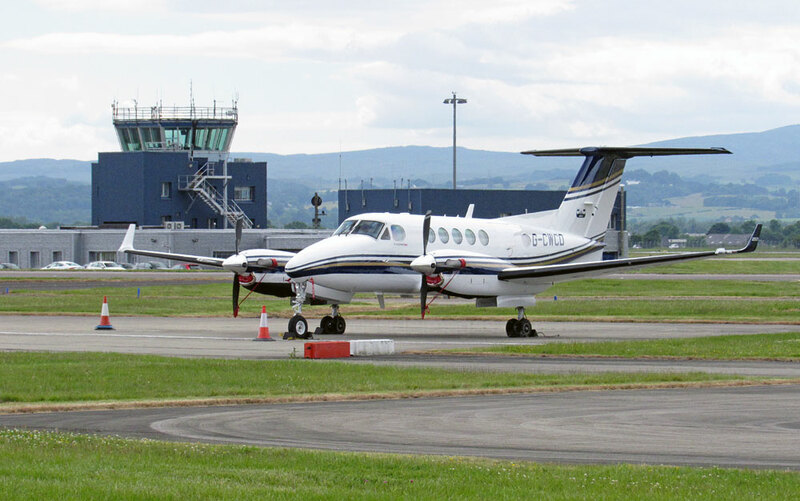 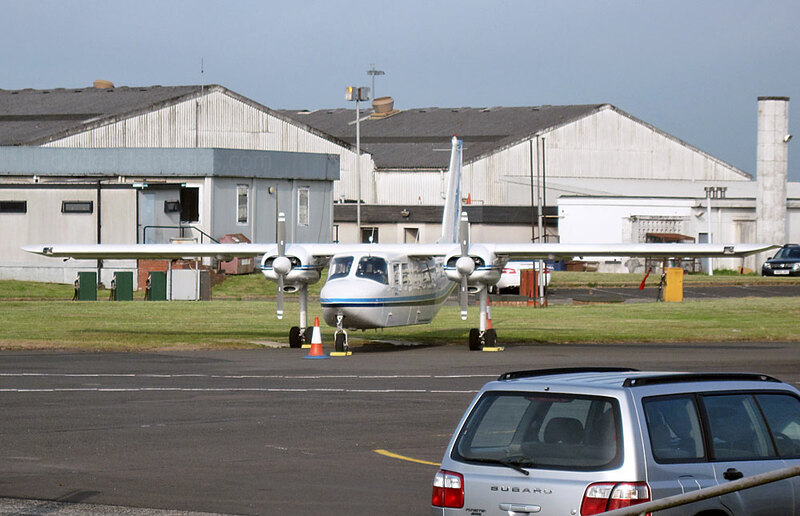 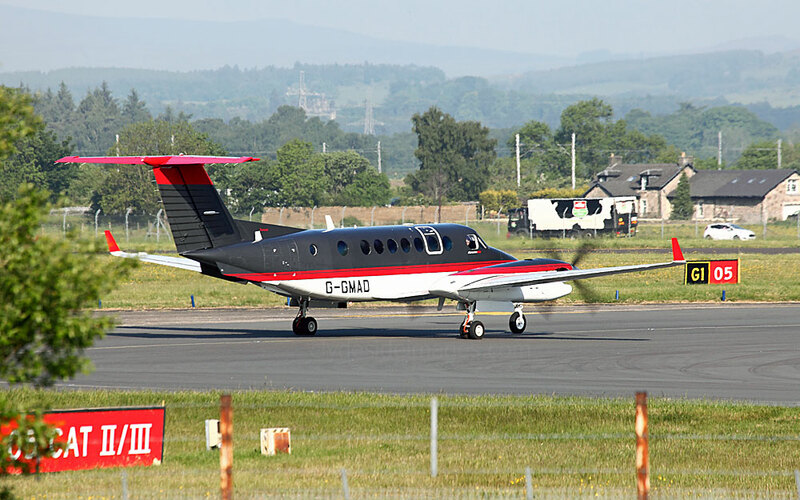 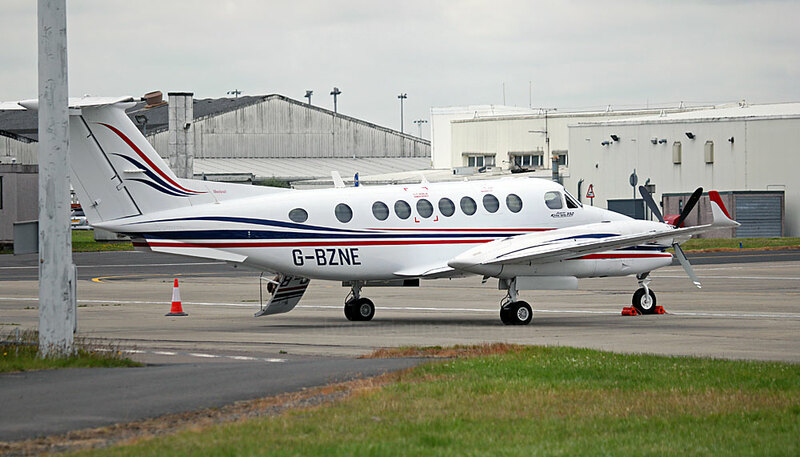 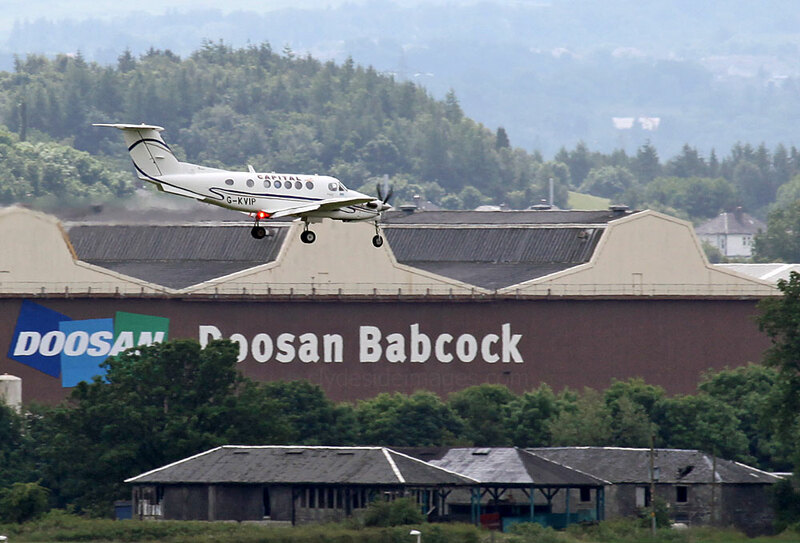 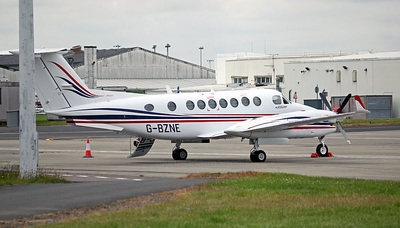 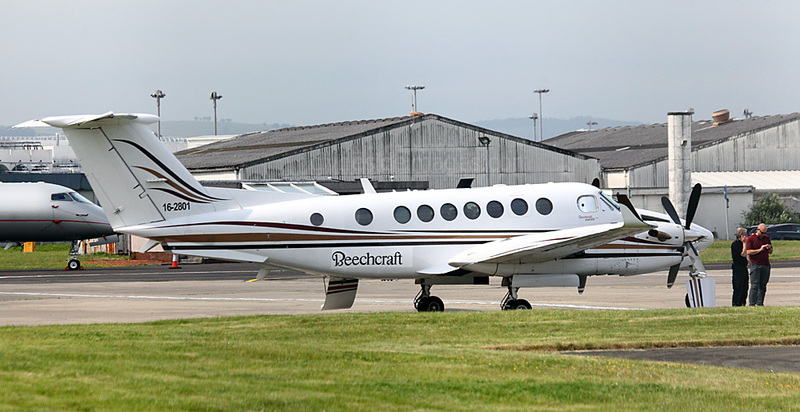 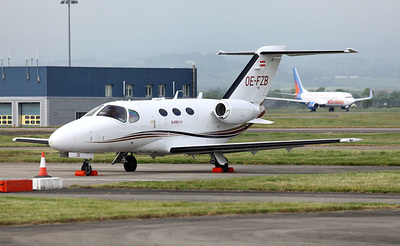 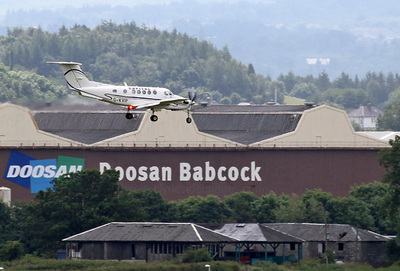 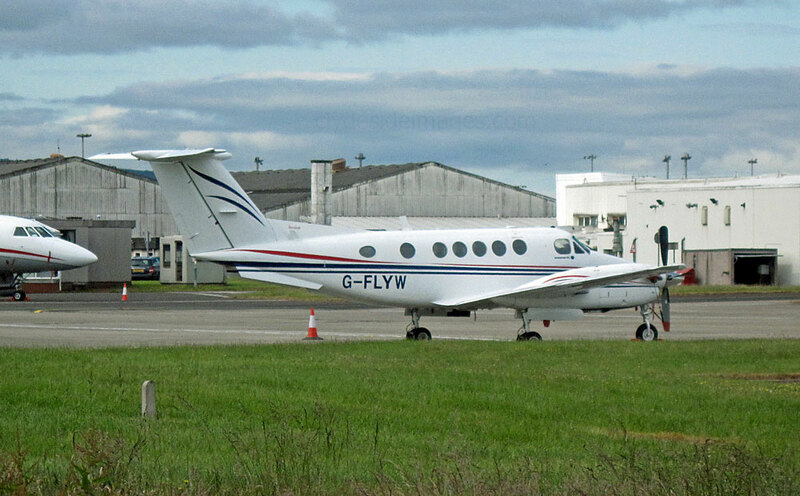 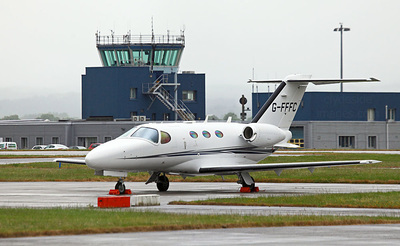 This Beechcraft 350 King Air, pictured on the morning of Saturday 4 June, arrived the previous afternoon. 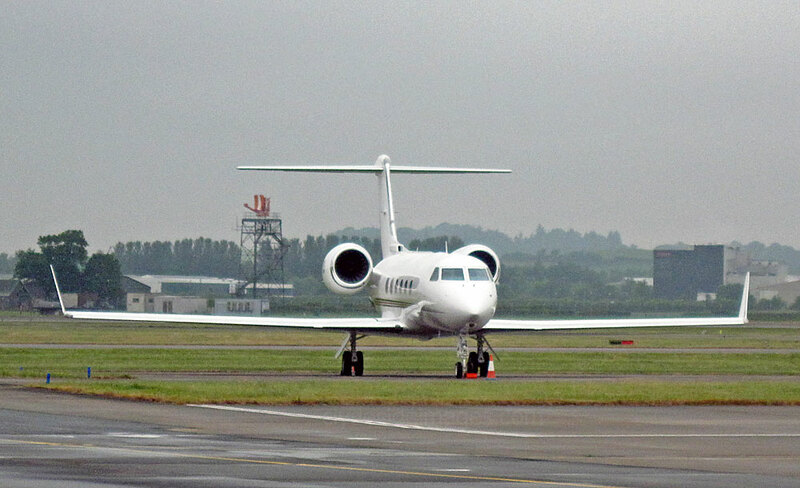 It bears the military serial number 16-2801 so I presume it`s on delivery to the US Army or US Air Force. 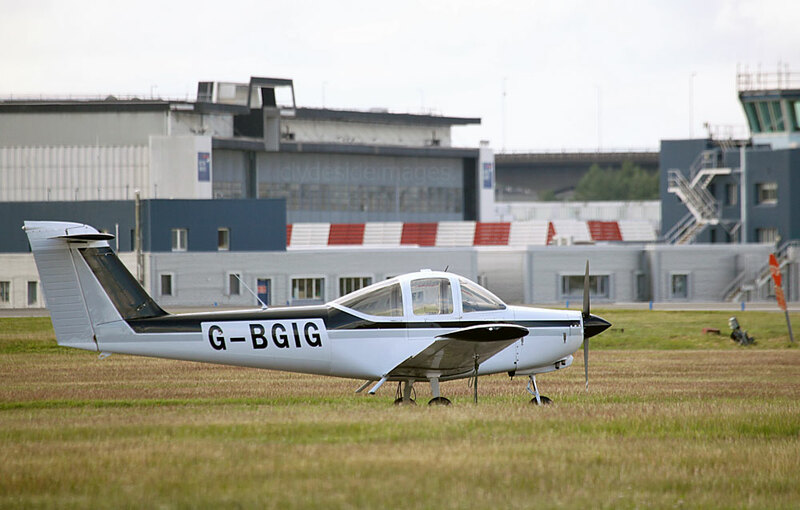 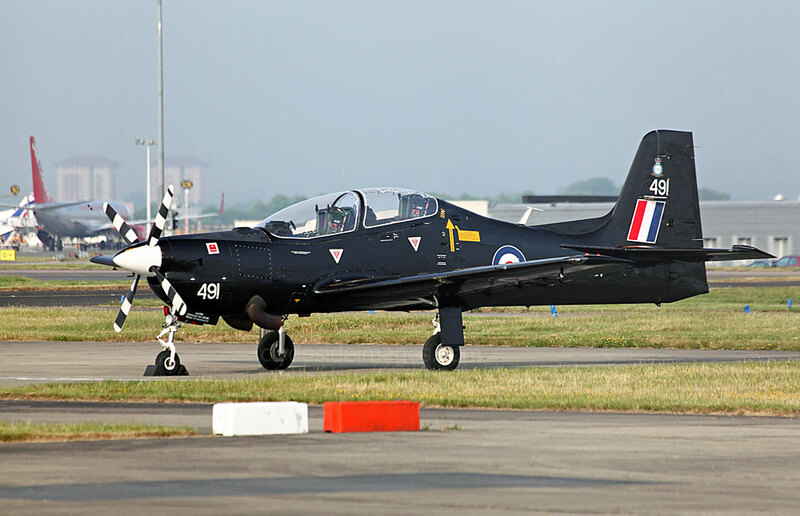 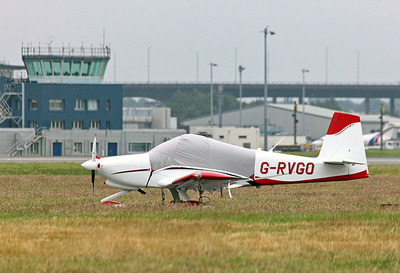 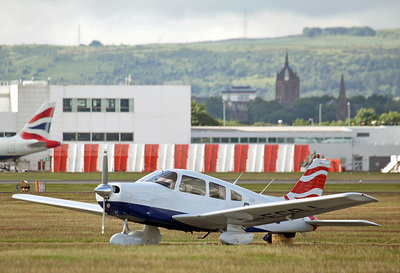 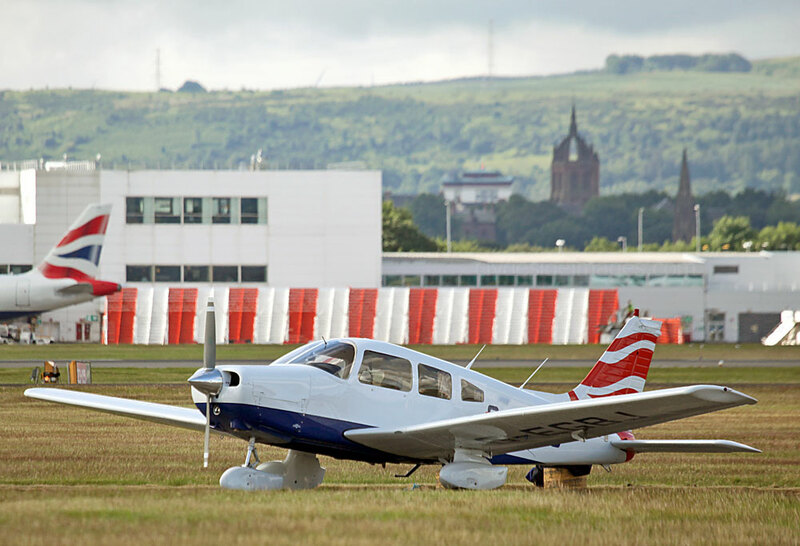 ​RAF Tucano T.1 ZF491 landed at 14:06hrs on Tuesday 7 June and night-stopped. 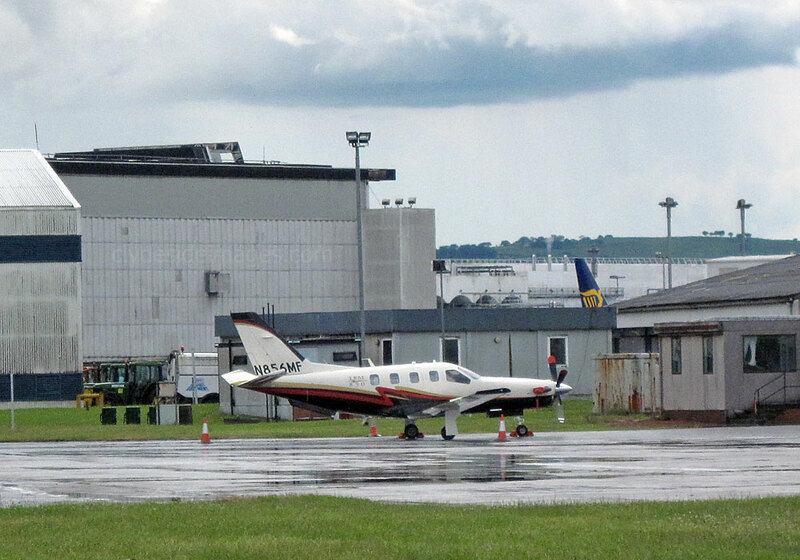 US Army Cessna UC-35A Ultra 97-0102, call-sign `Duke 51`, stopped off for an hour in the afternoon of Monday 13 June. 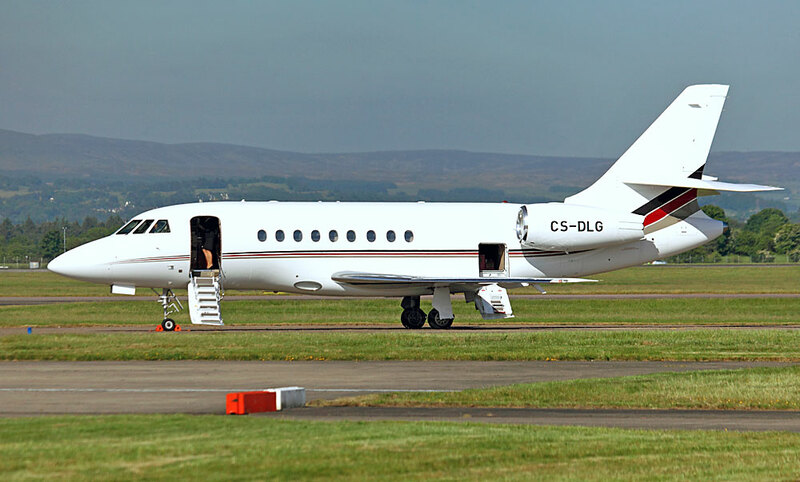 RAF Marham-based ​Tornado GR.4 ZA553(045) `Monster 11` touched down at 14:00 hrs on Saturday 12 June and night-stopped into Monday morning on what was its first visit. 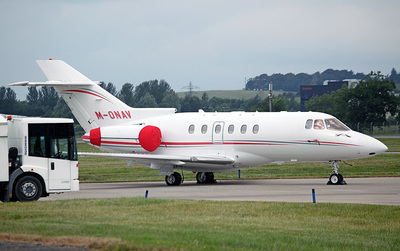 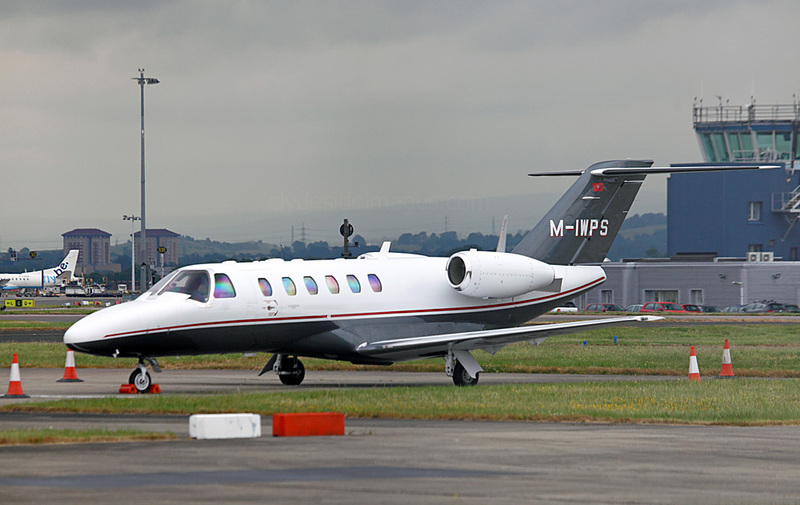 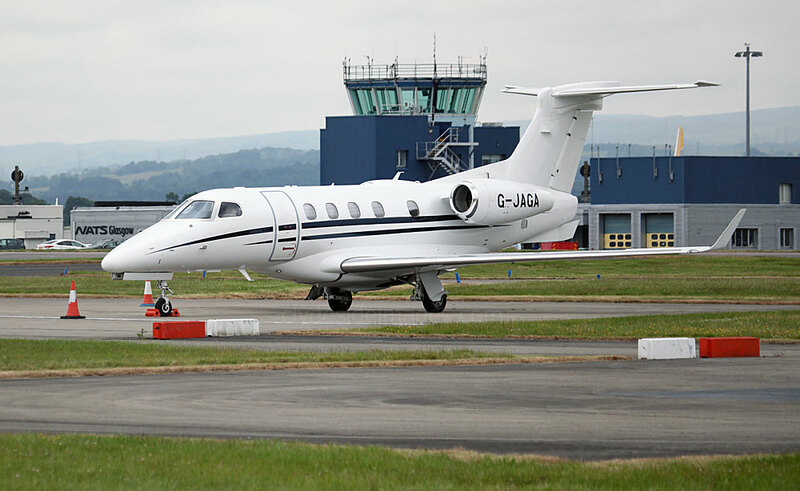 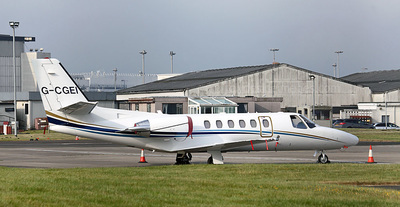 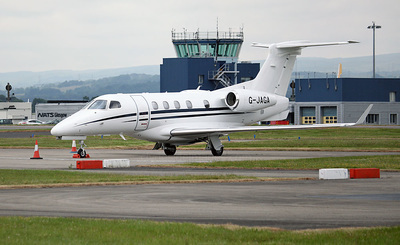 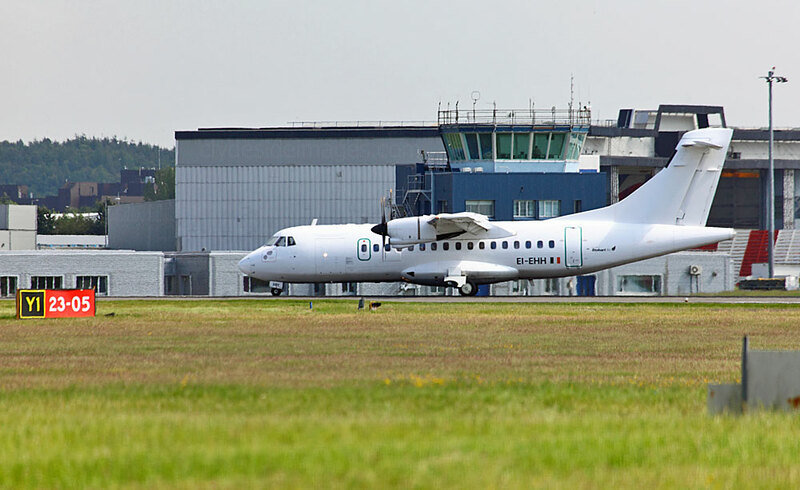 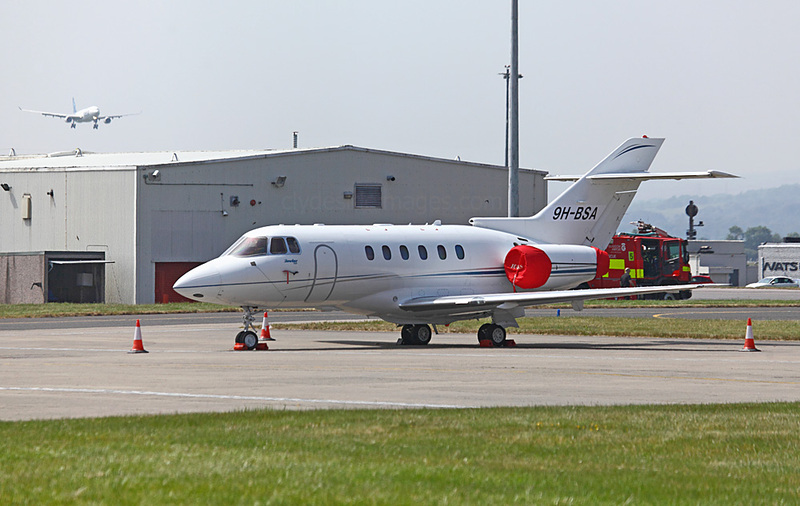 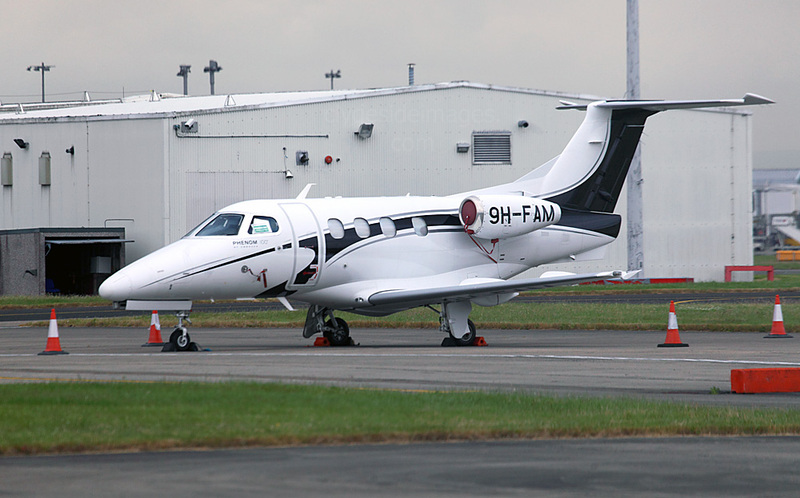 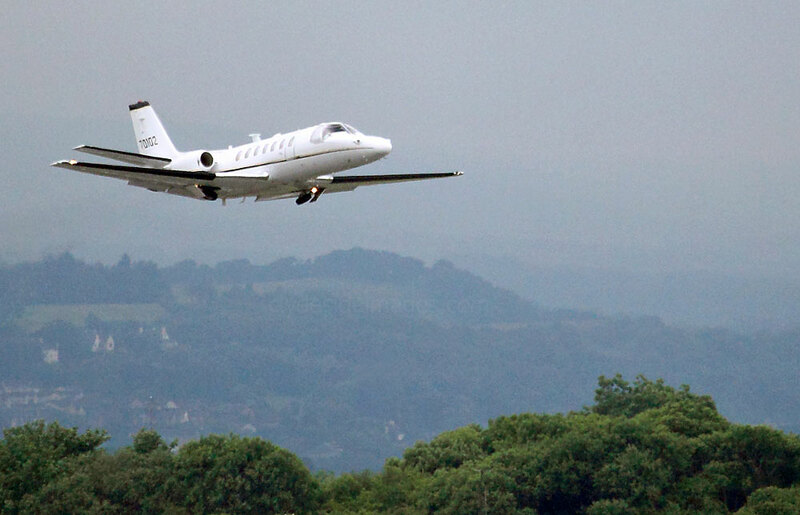 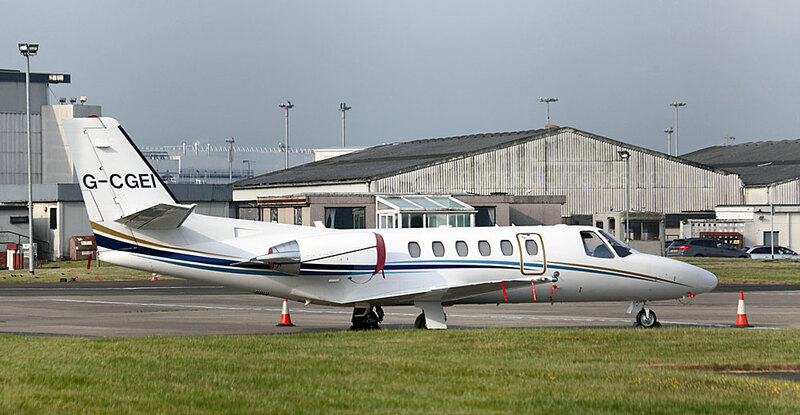 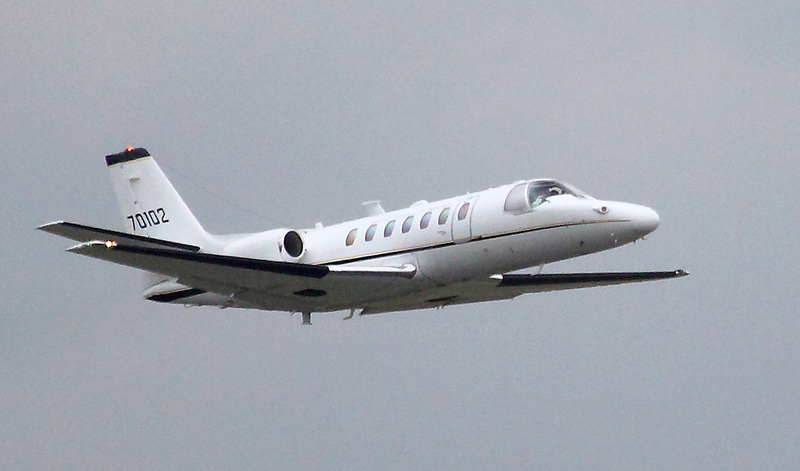 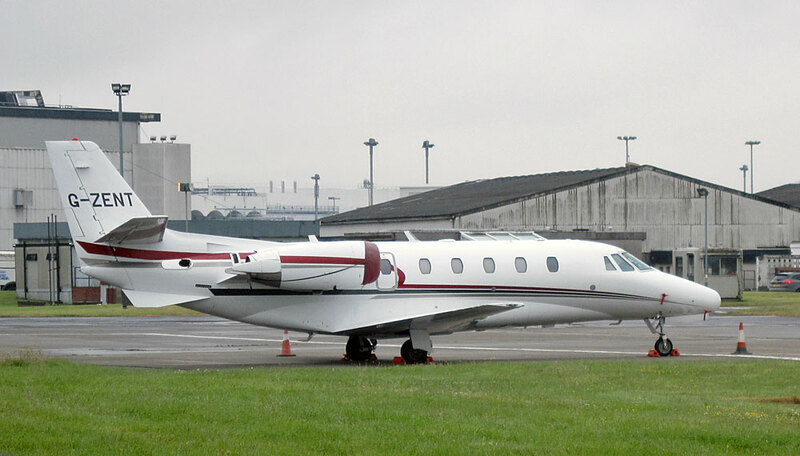 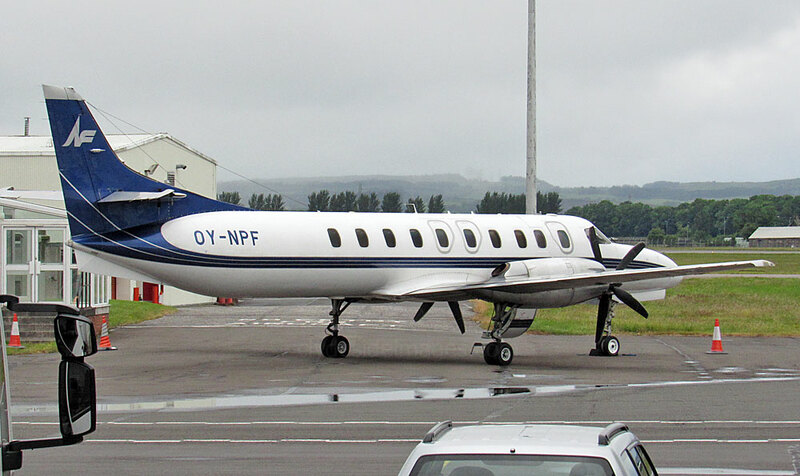 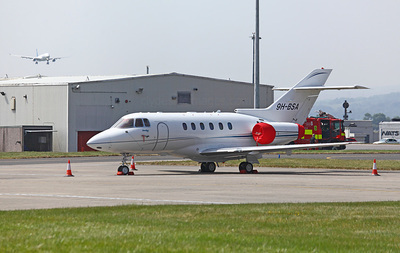 Irish Air Corps Learjet 45, serial number 258, appeared on Friday 17 and Monday 27 June. 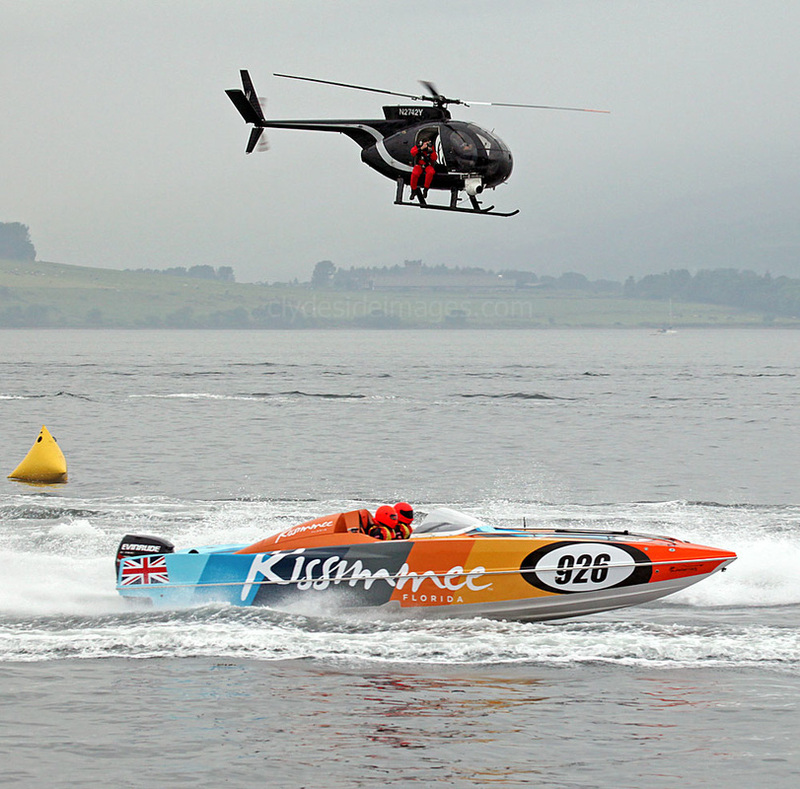 ​The P1 Scottish Grand Prix of the Sea was a two-day event held off the Greenock Esplanade on Saturday 18 / Sunday 19 June. I opted to head down on Sunday when, unfortunately, low cloud and drizzle contrasted with the previous day`s fine weather when sunshine brought out the crowds in their thousands. 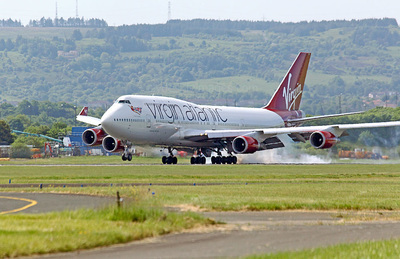 Just like Formula 1 motor racing, heats take place at various venues throughout the year, in this case in the USA and UK, with the winning crew being the ones with the most points accumulated at the end of the season. 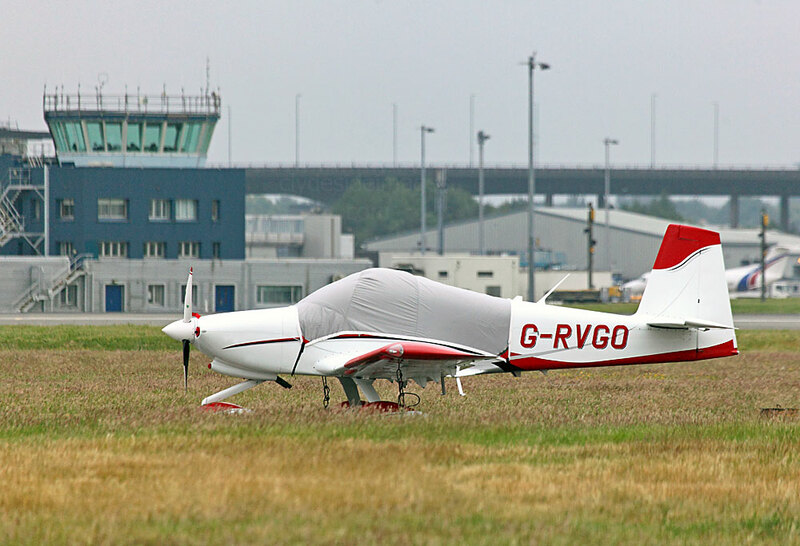 US-registered Hughes 369HS N2742Y was acting as camera ship for the first P1 race but it had to call a halt when the visibility deteriorated. 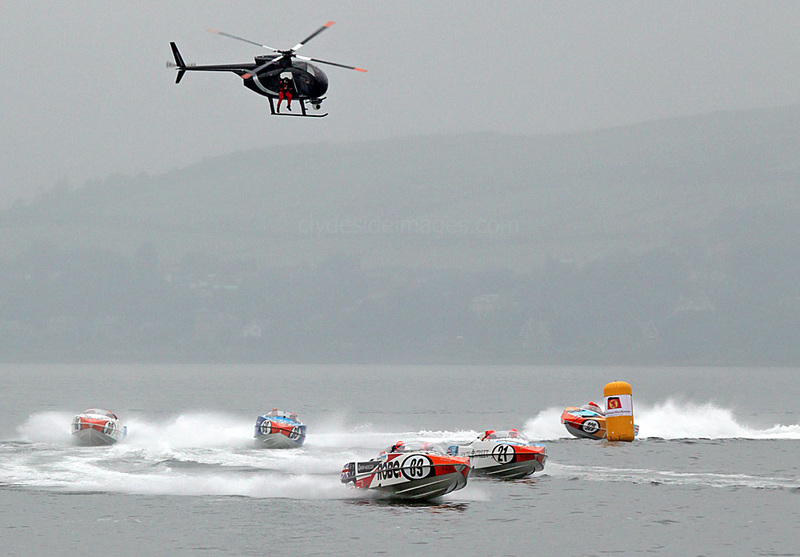 With no hope of an improvement the remaining power boat heats were cancelled but it has been suggested that the event could be hosted at Greenock annually, so let`s hope the mixed weather won`t deter the organisers from agreeing to a return next year.